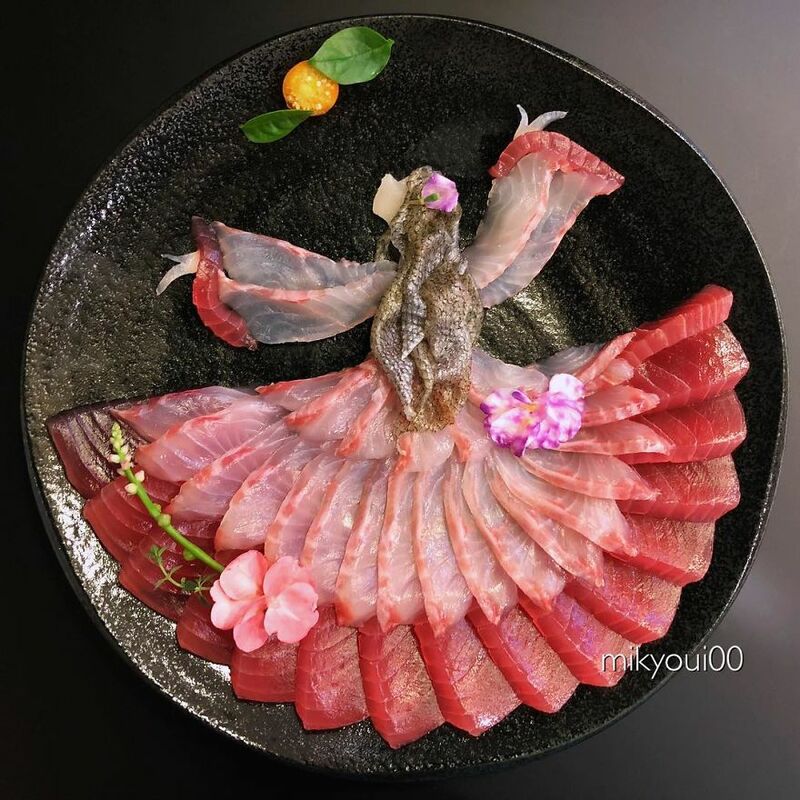 Many people would agree that sashimi (a Japanese delicacy consisting of very fresh raw fish or meat nicely sliced into thin pieces) is one of the best ways to enjoy fish. 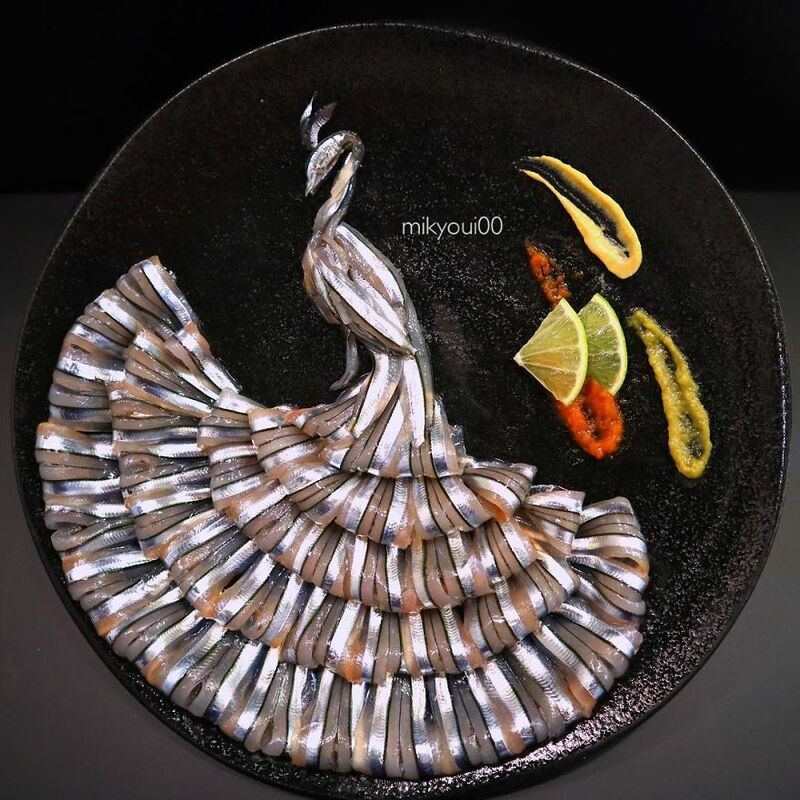 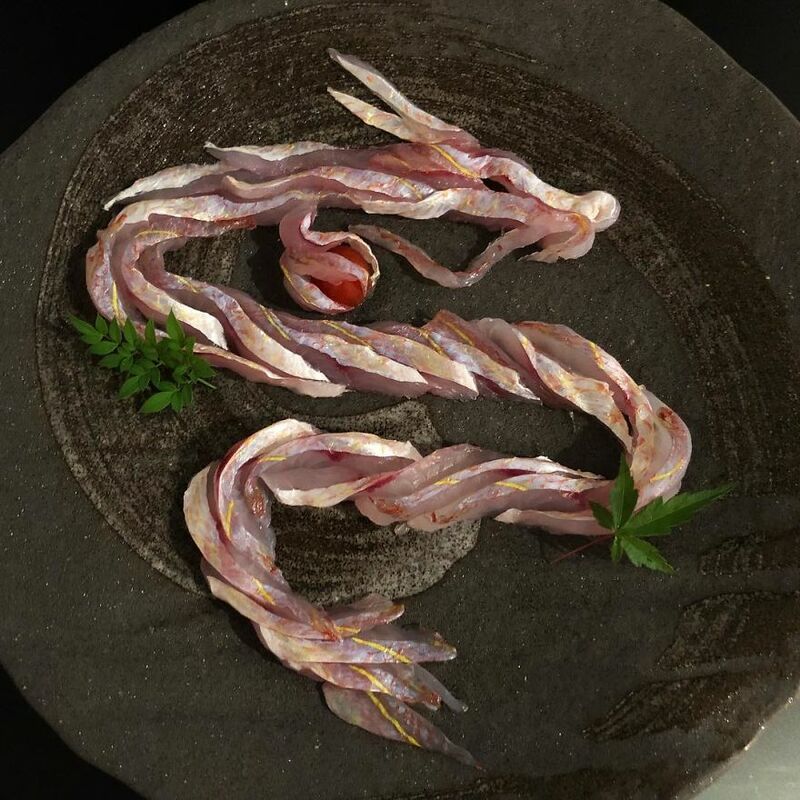 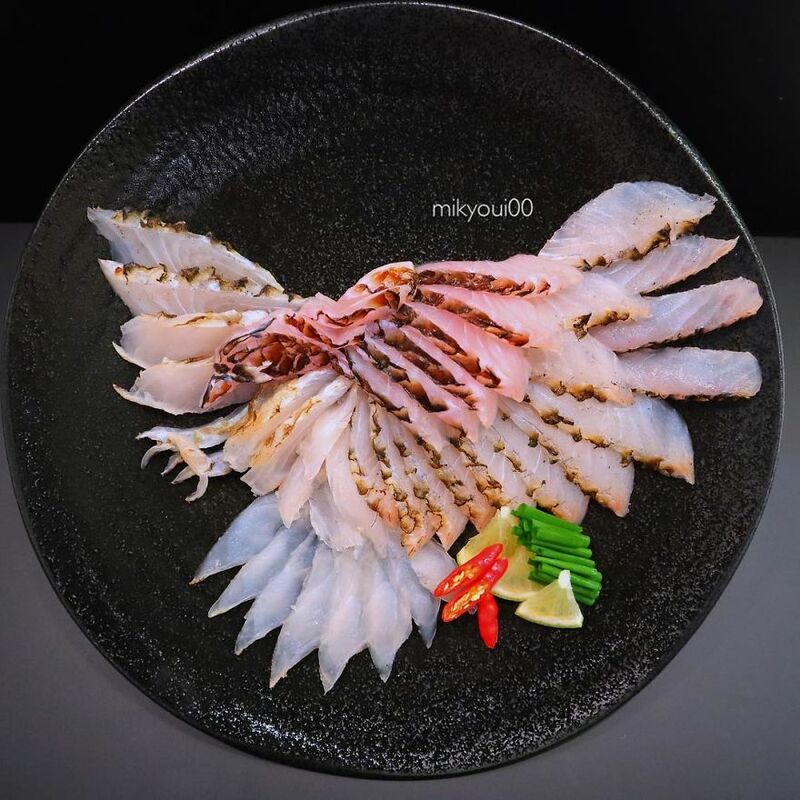 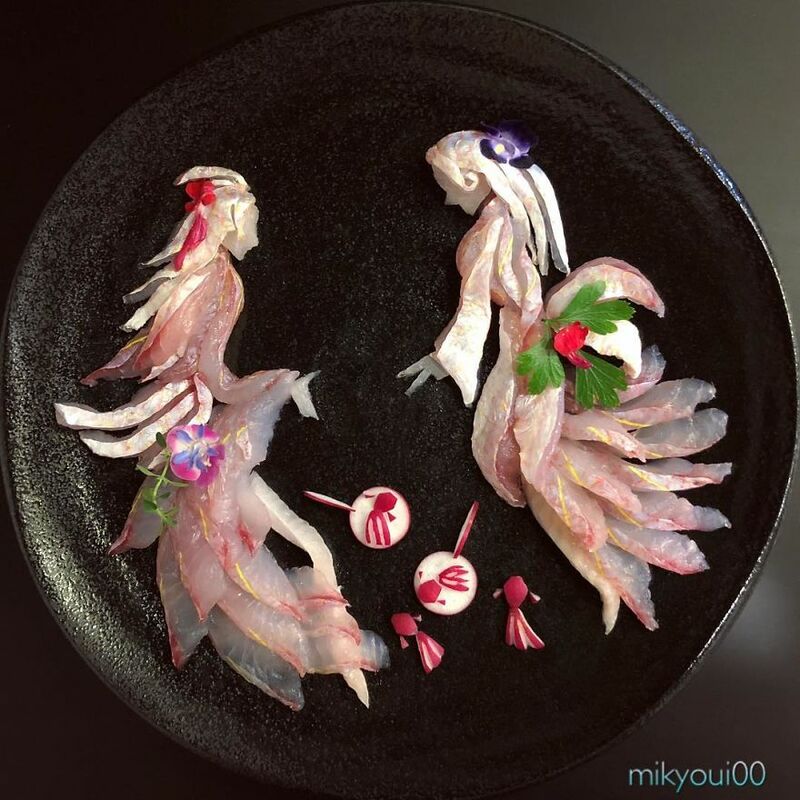 Not only you can taste thinly sliced seafood at its very freshest but also this delicacy recently became famous as a form of art. 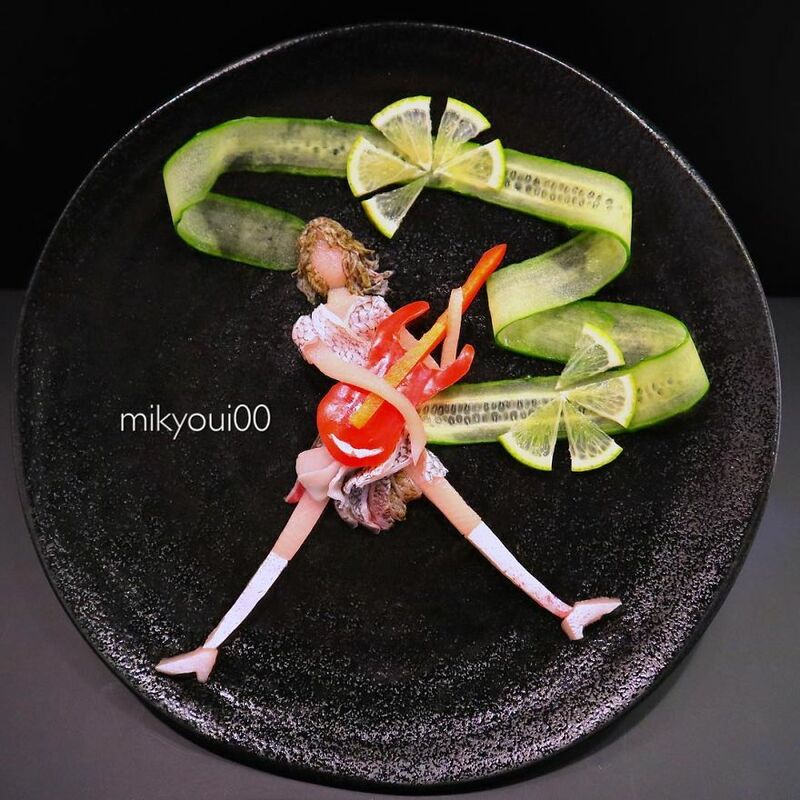 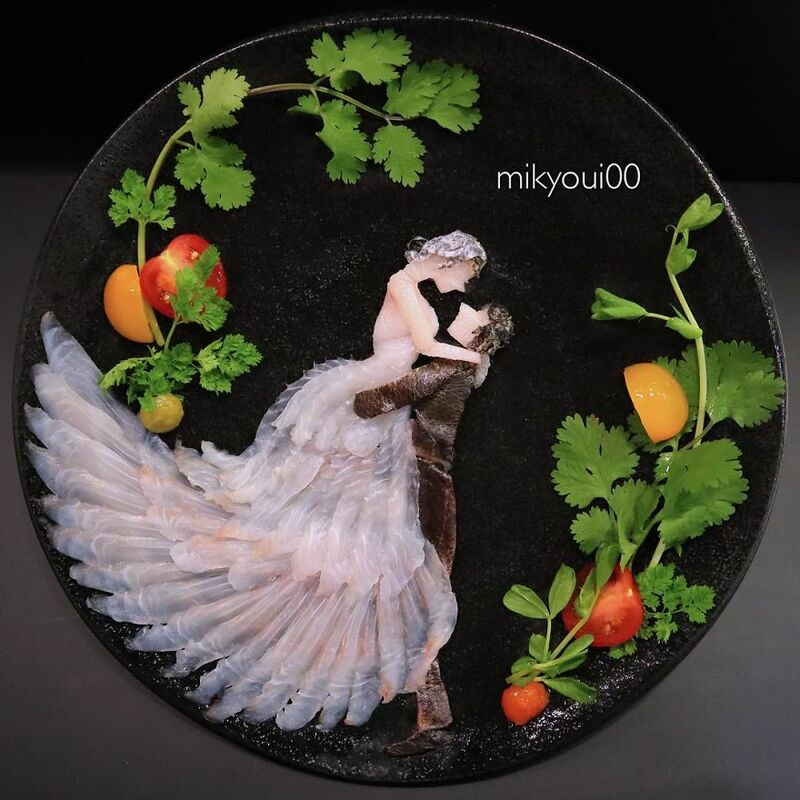 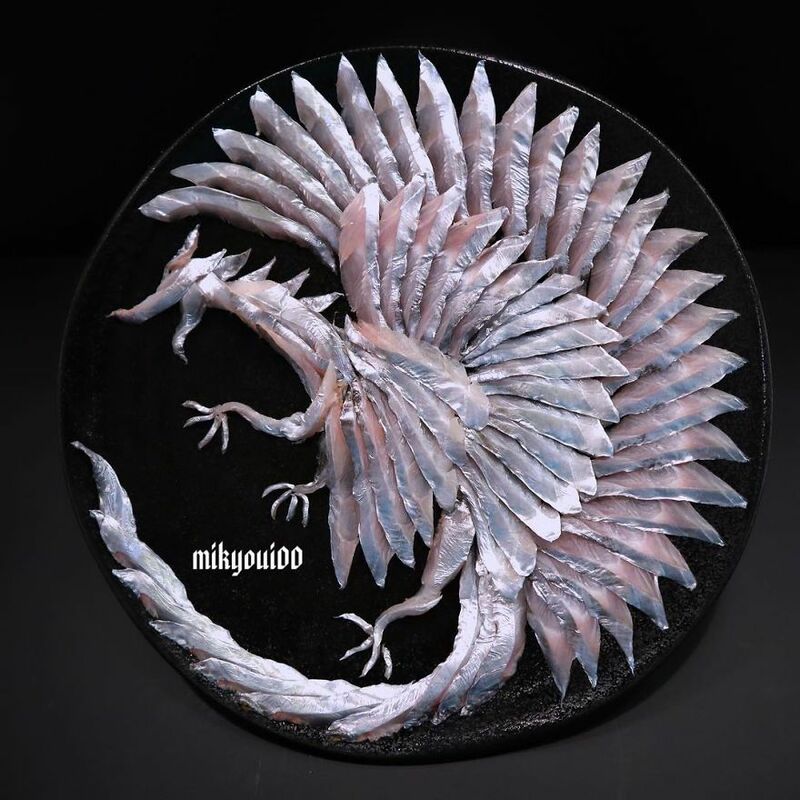 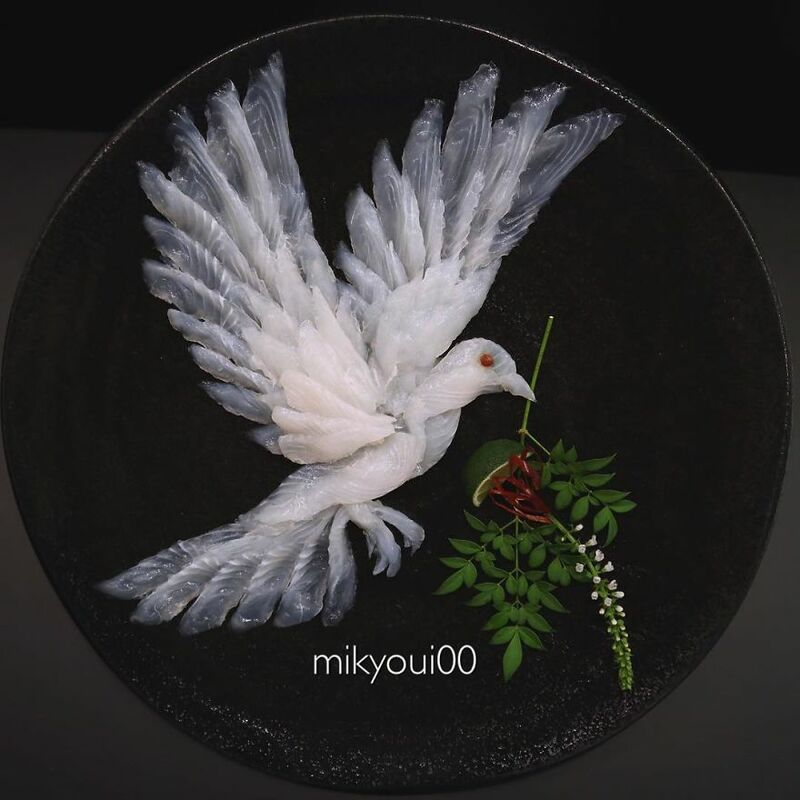 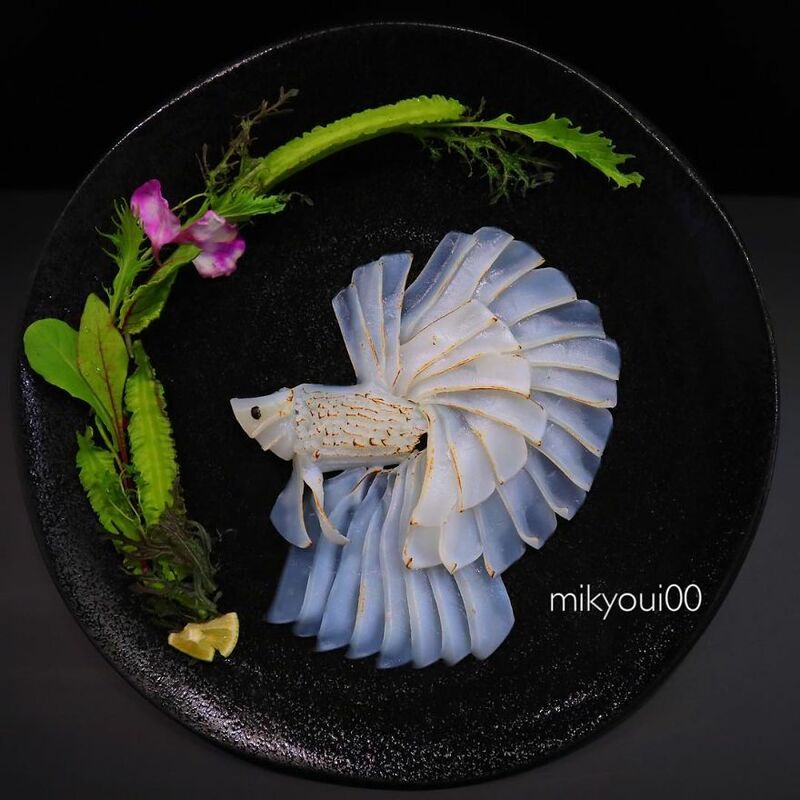 One culinary artist, going by the handle of mikyoui0, never had a job related to art or design, however, he has a son who he wanted to teach food preparation to and also instill a love for it. 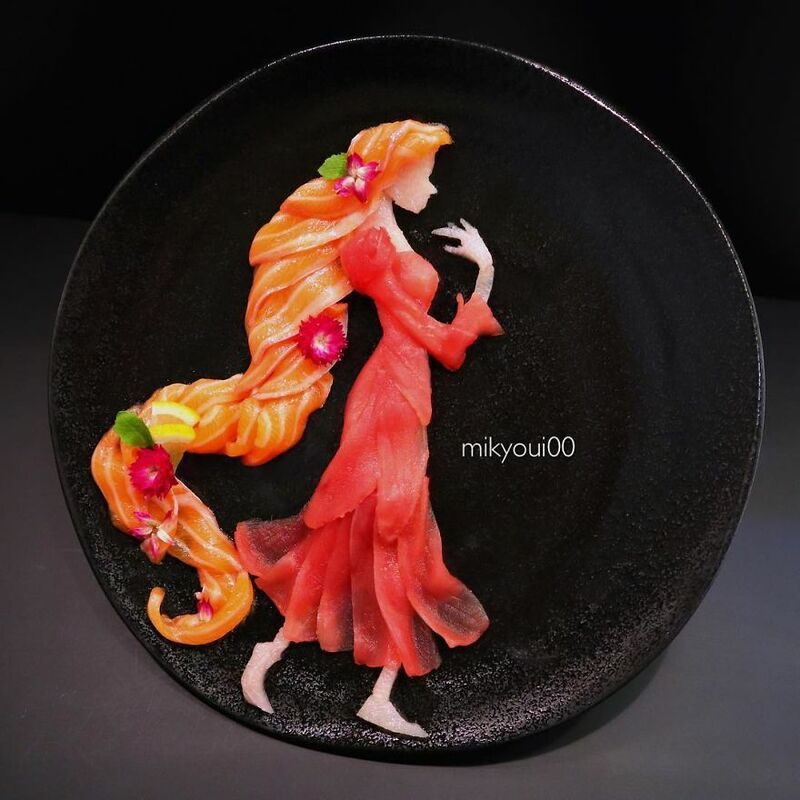 He decided to think out of the box and turn the learning process into a fun activity by making art out of food. 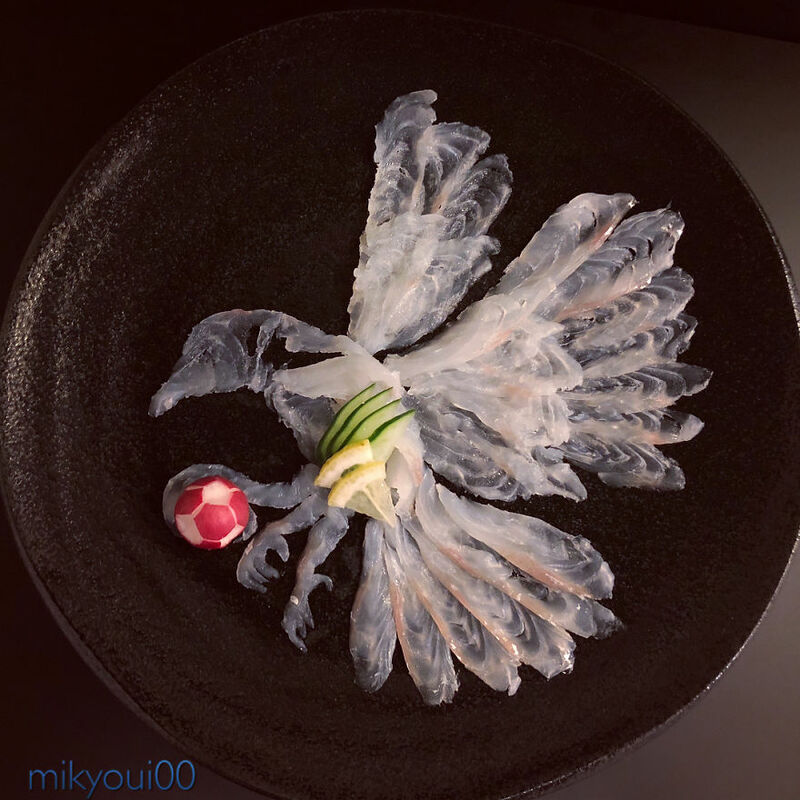 During the summer of last year, he started working with fish, therefore, it was a perfect opportunity to start the learning process! 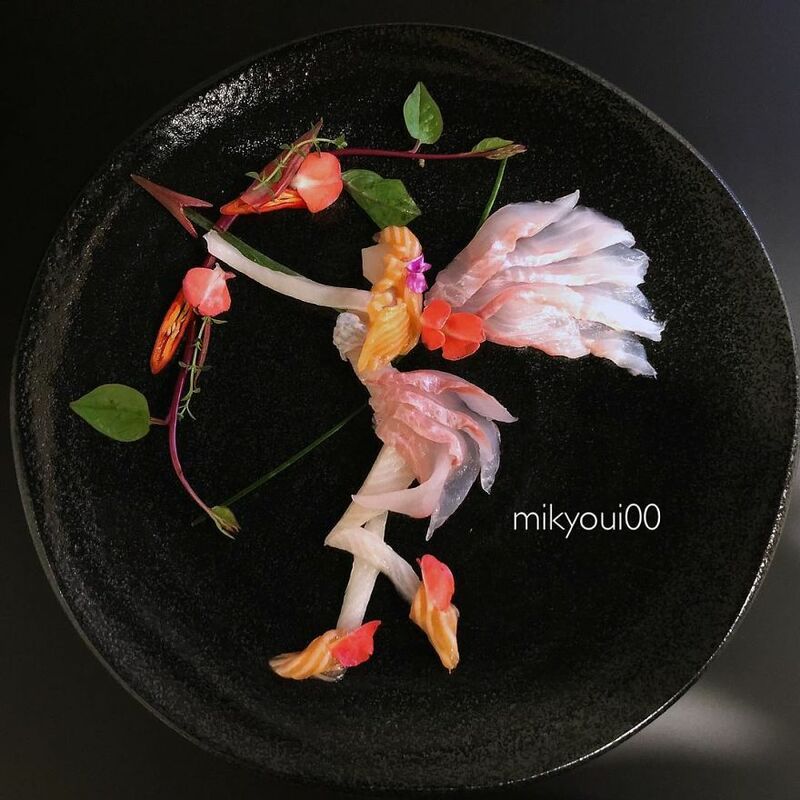 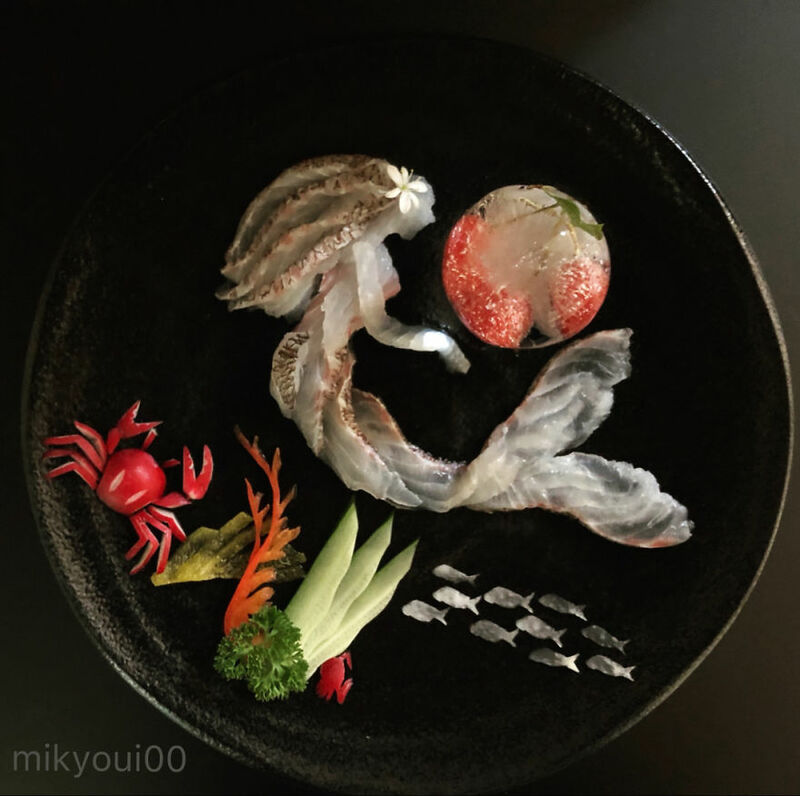 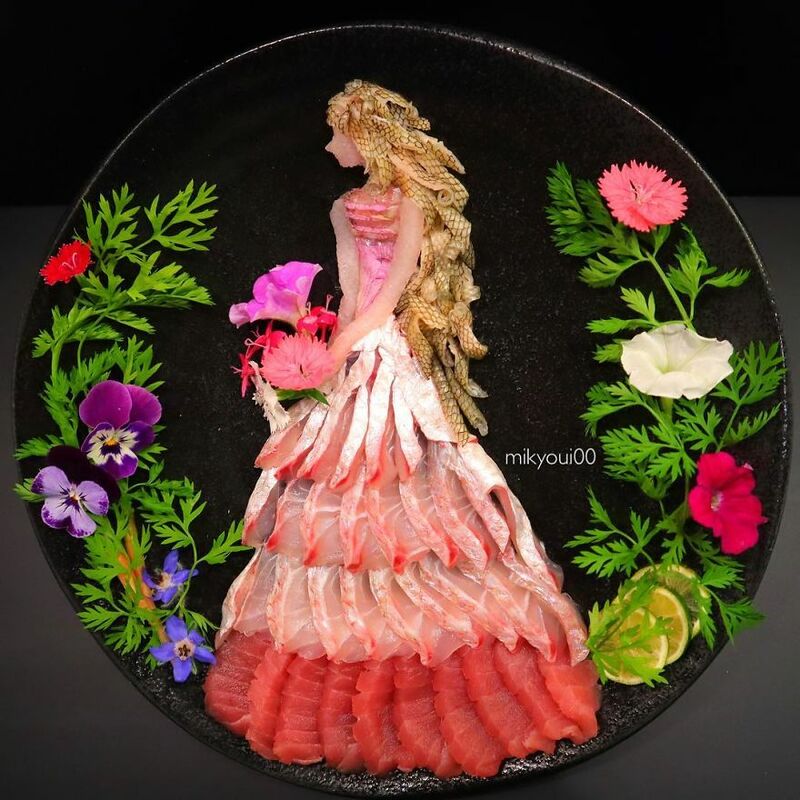 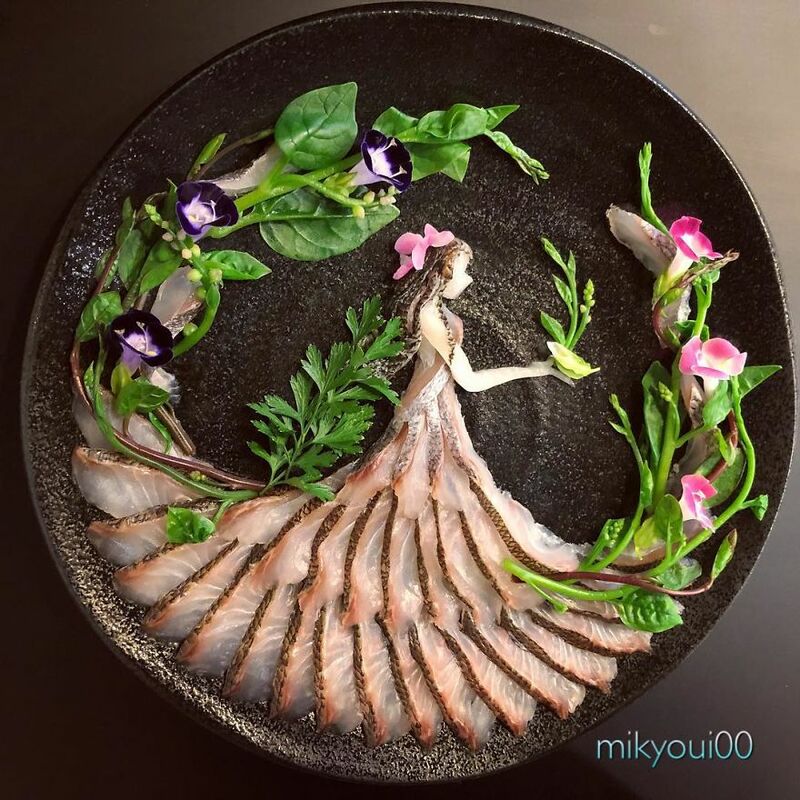 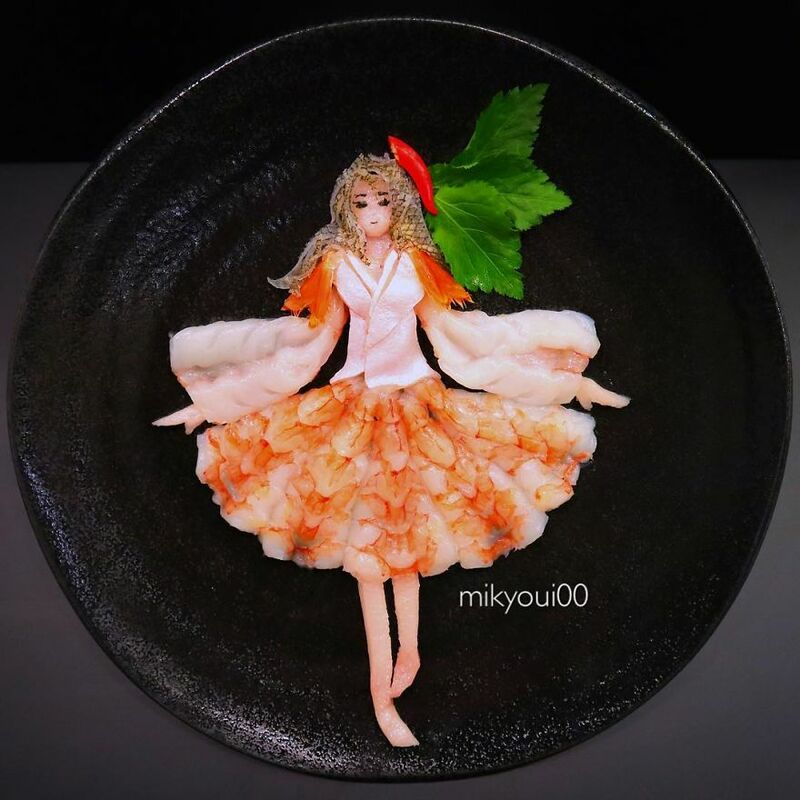 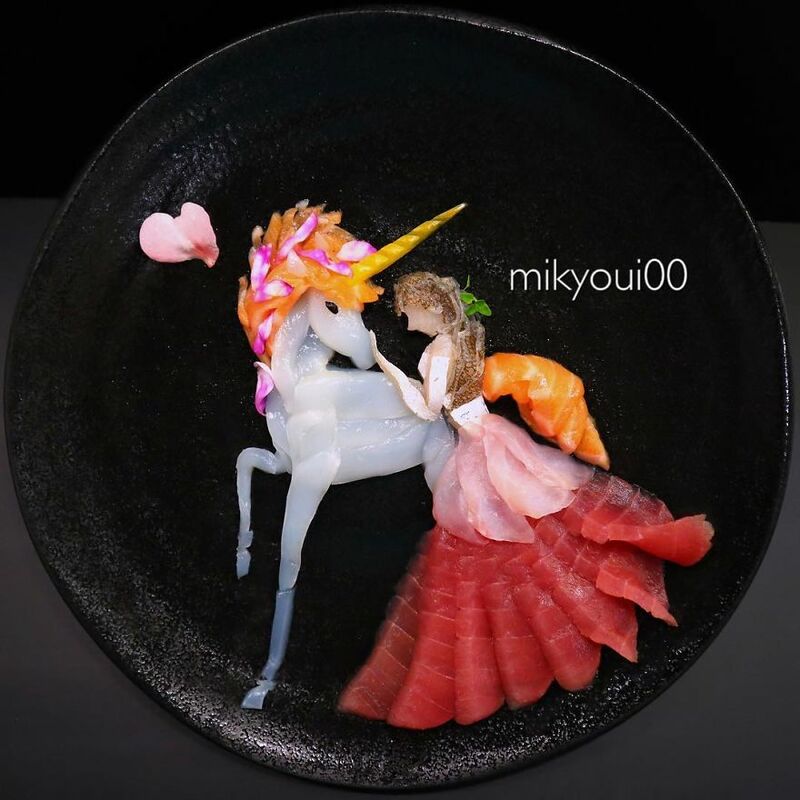 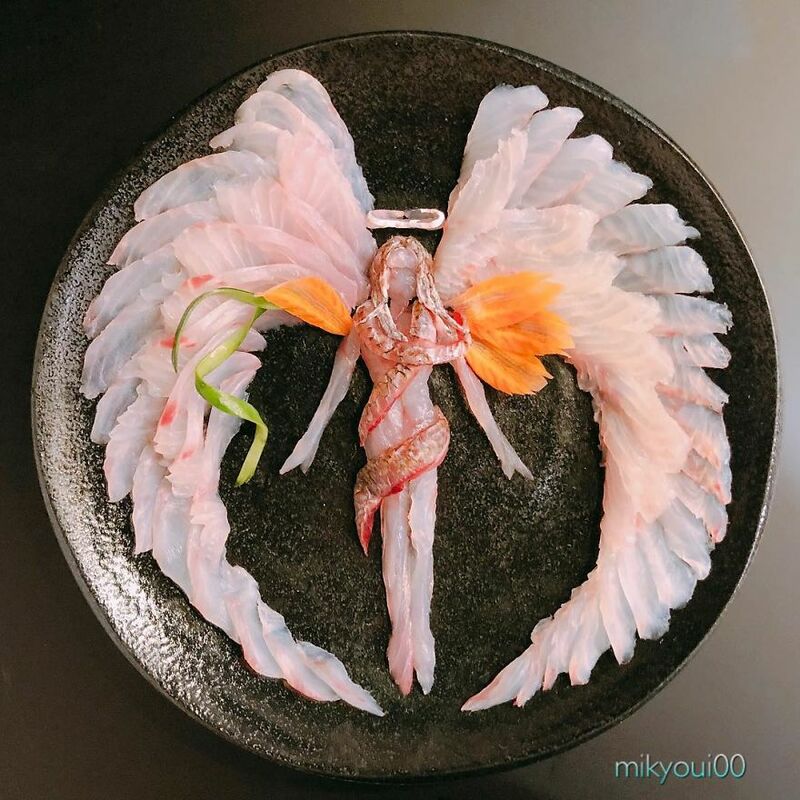 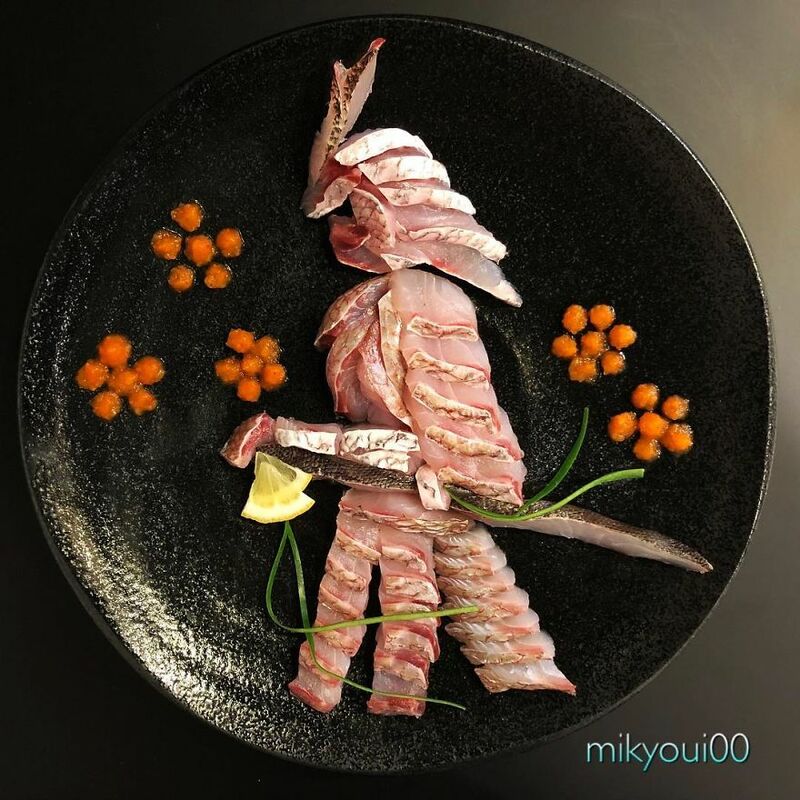 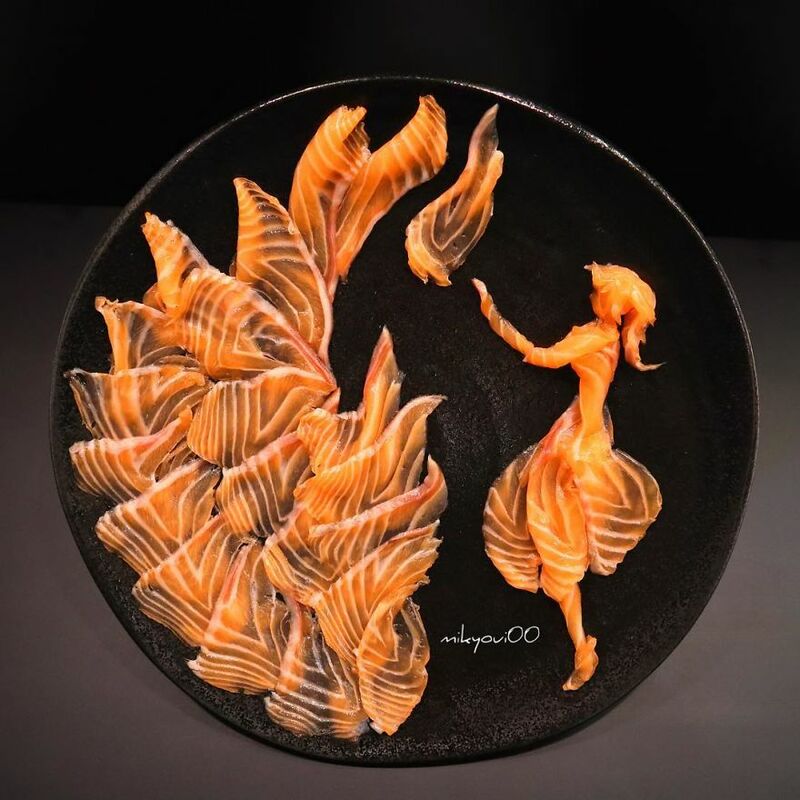 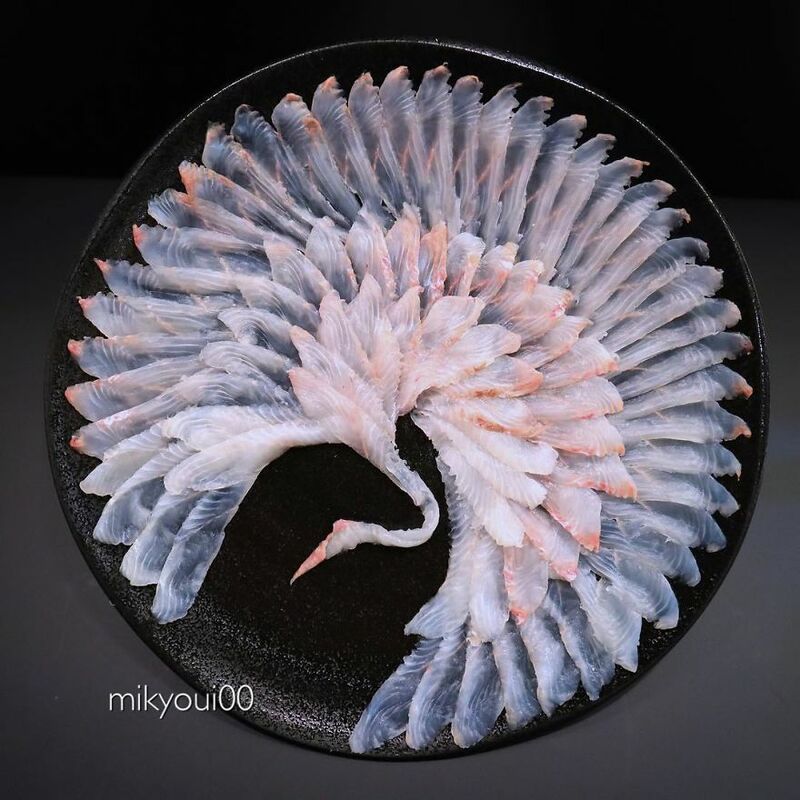 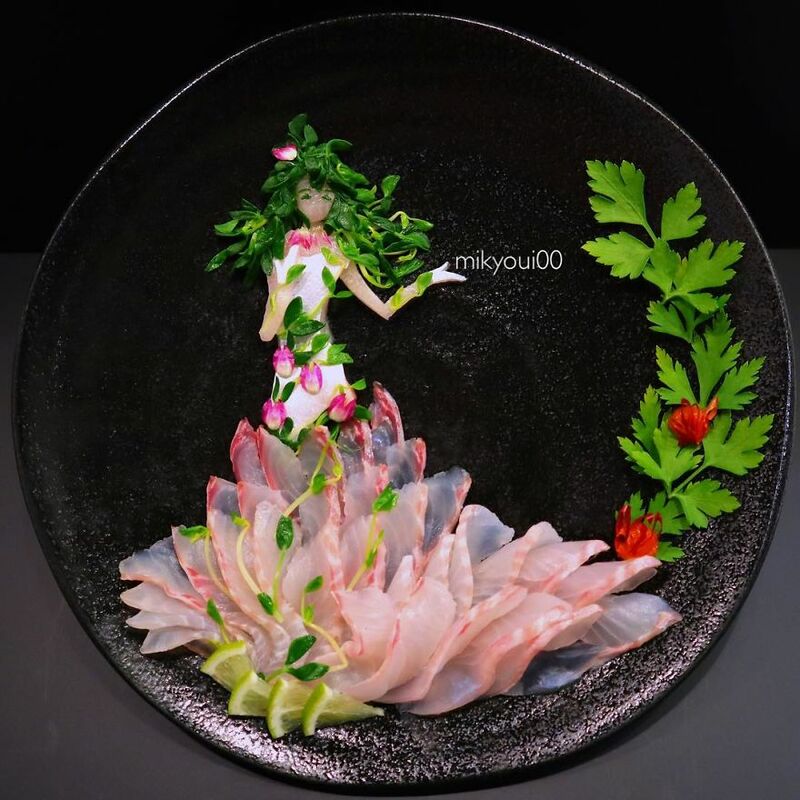 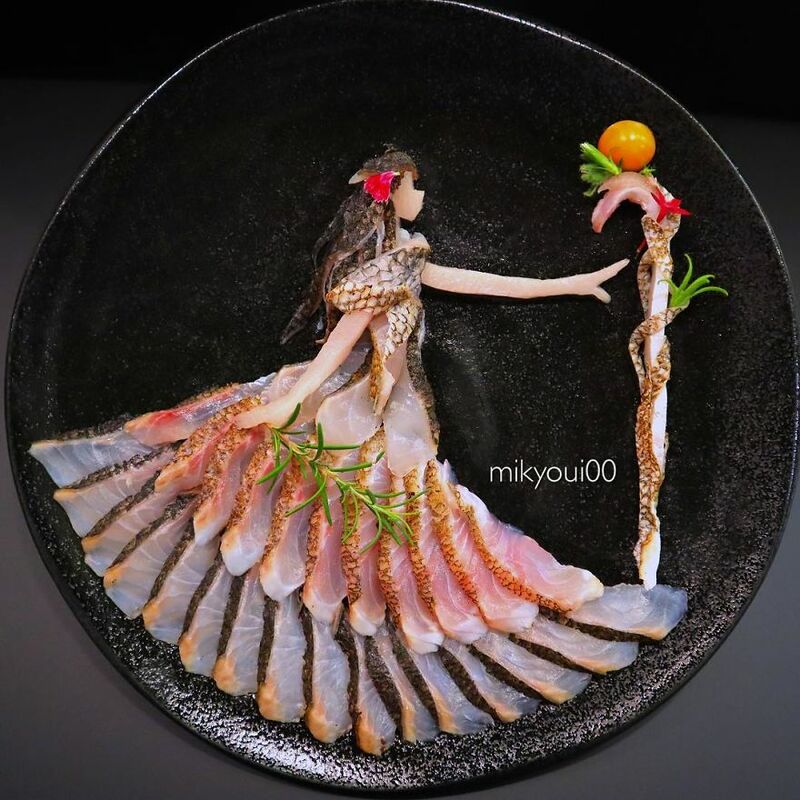 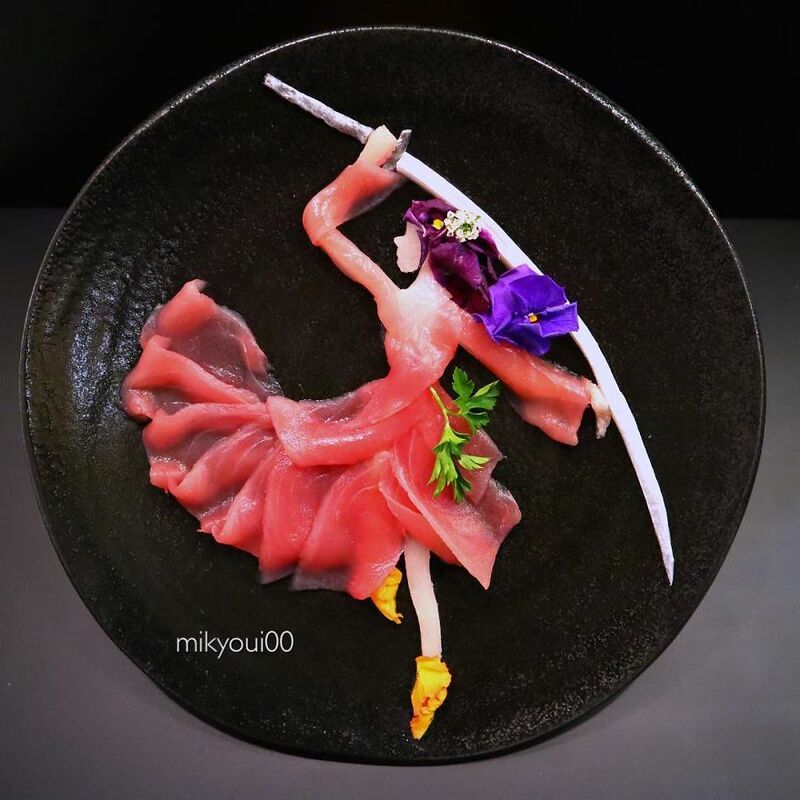 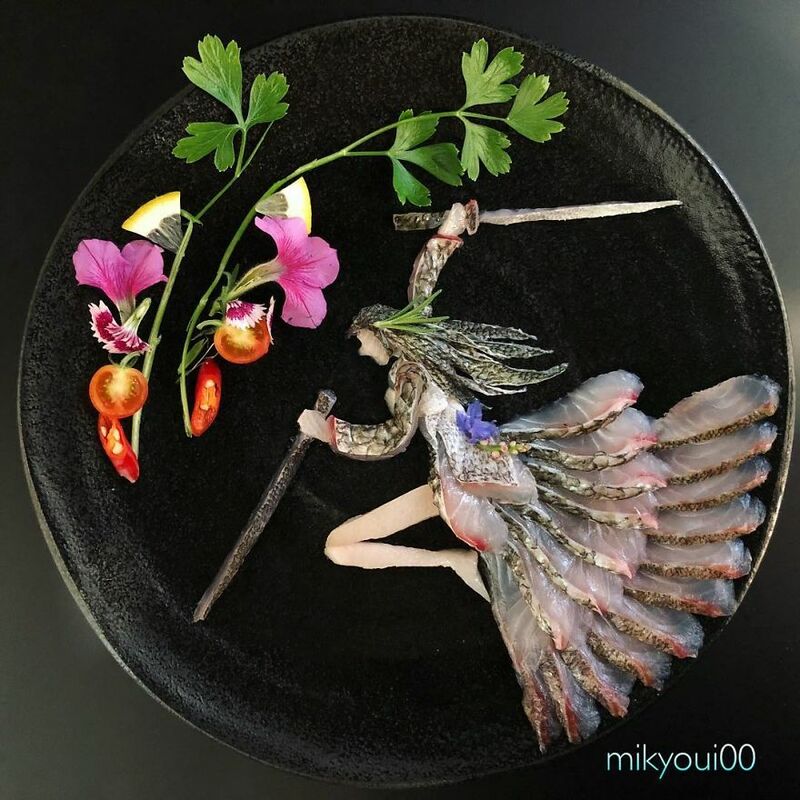 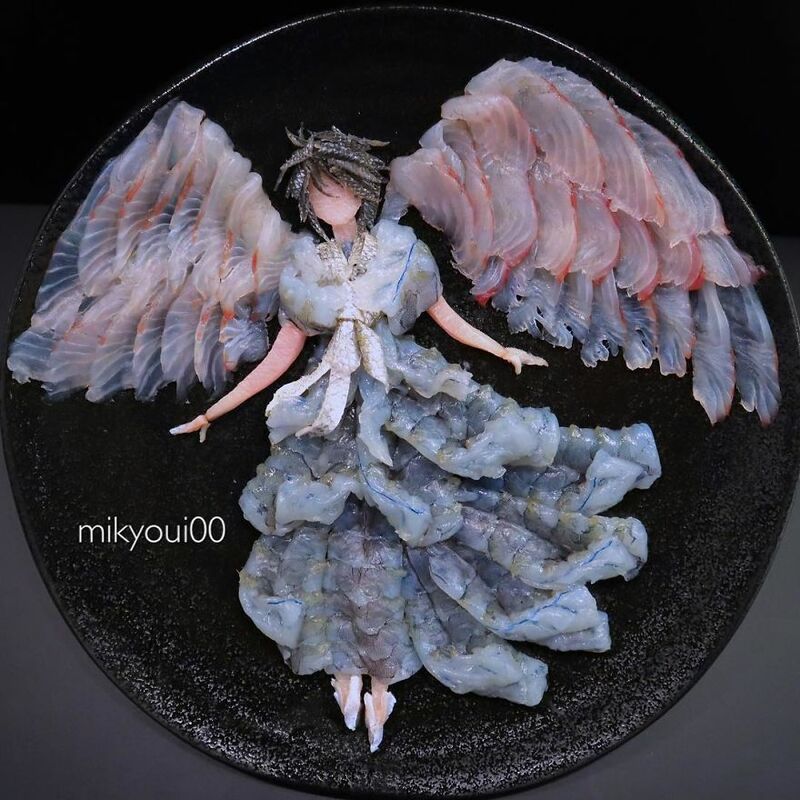 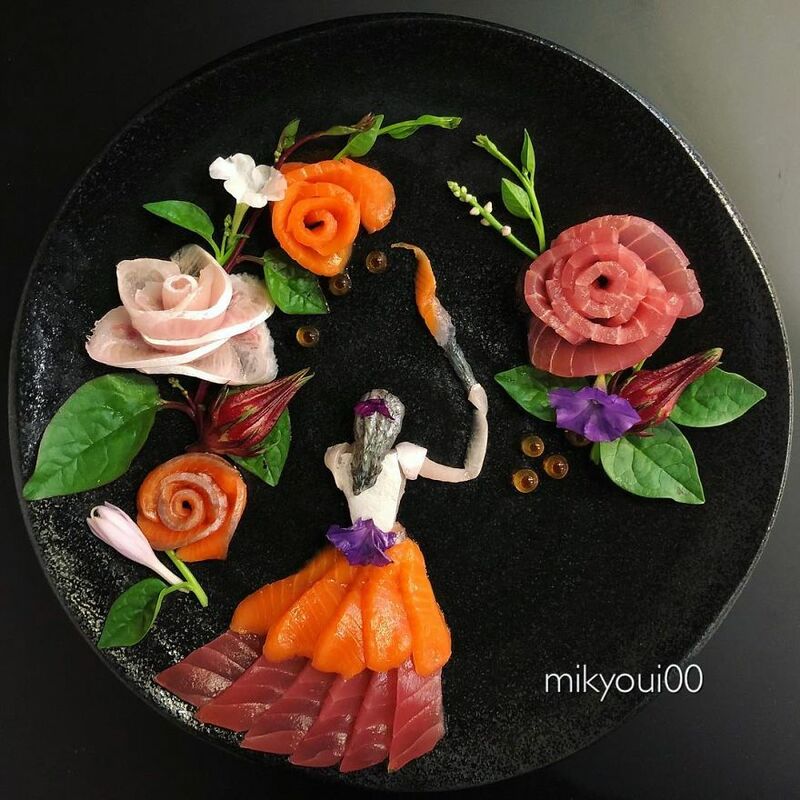 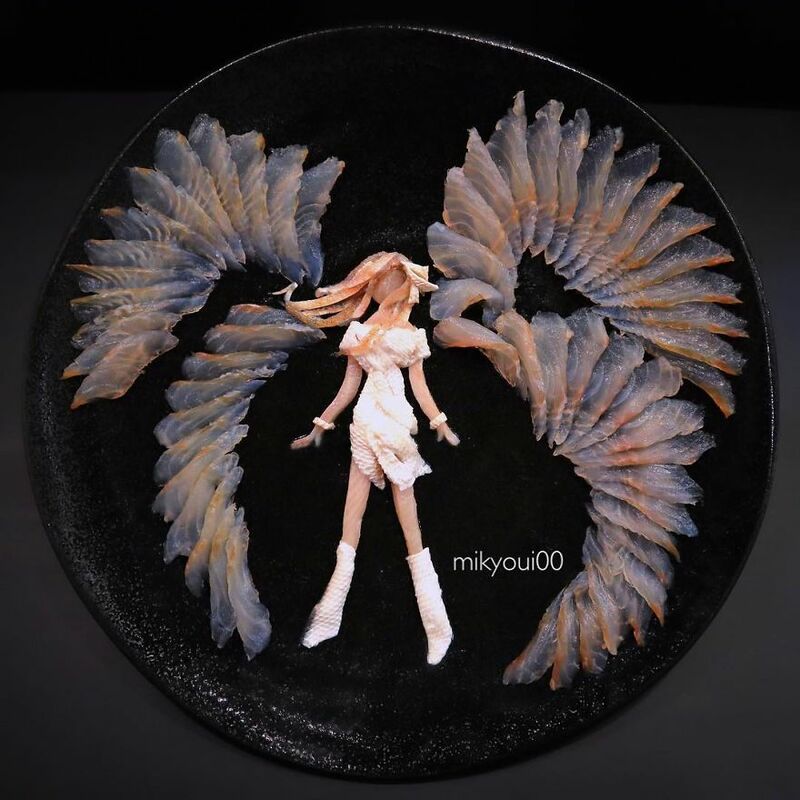 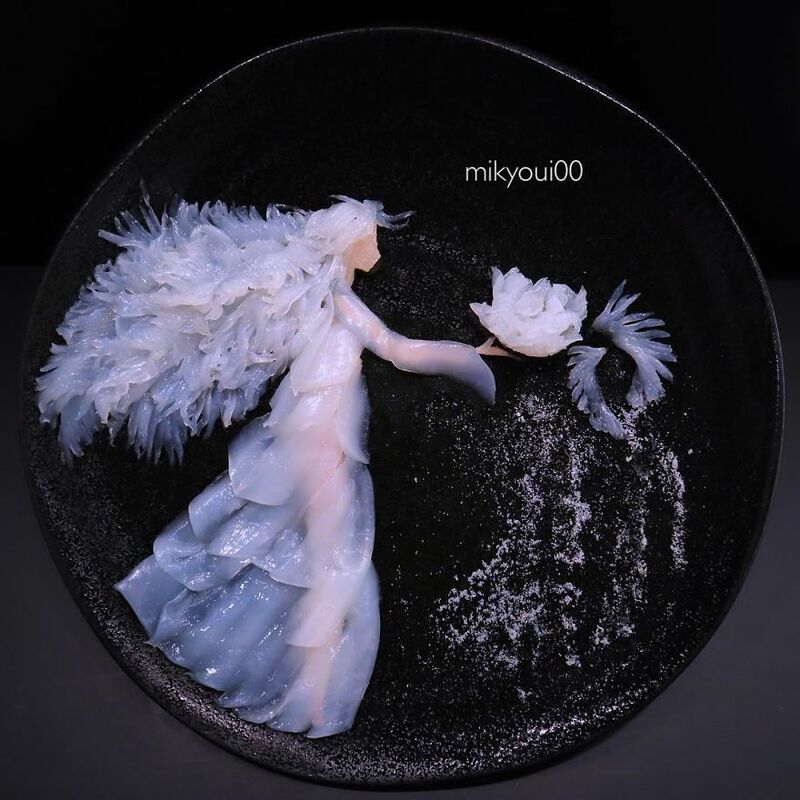 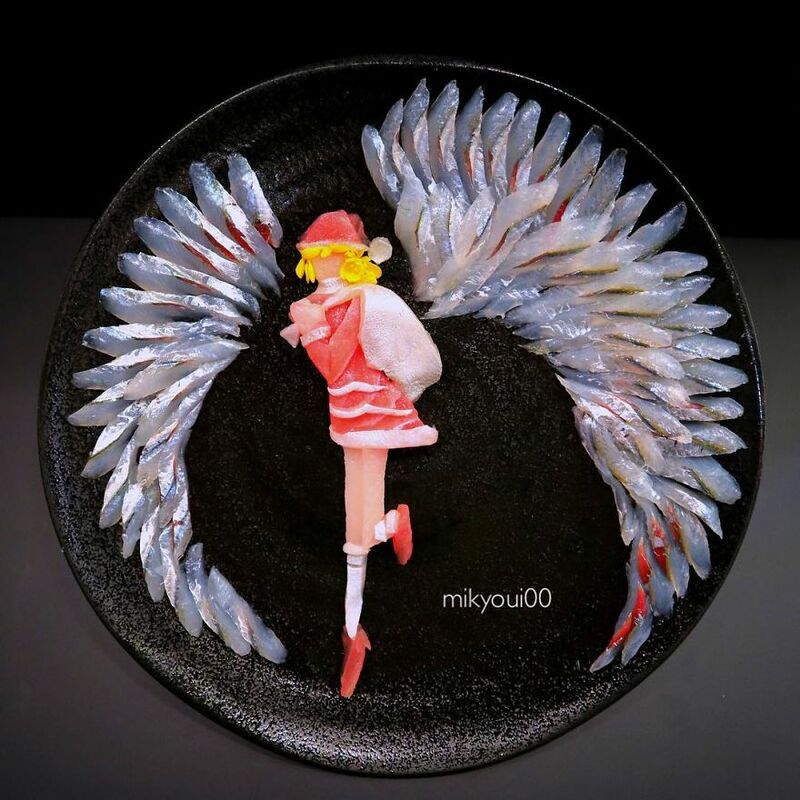 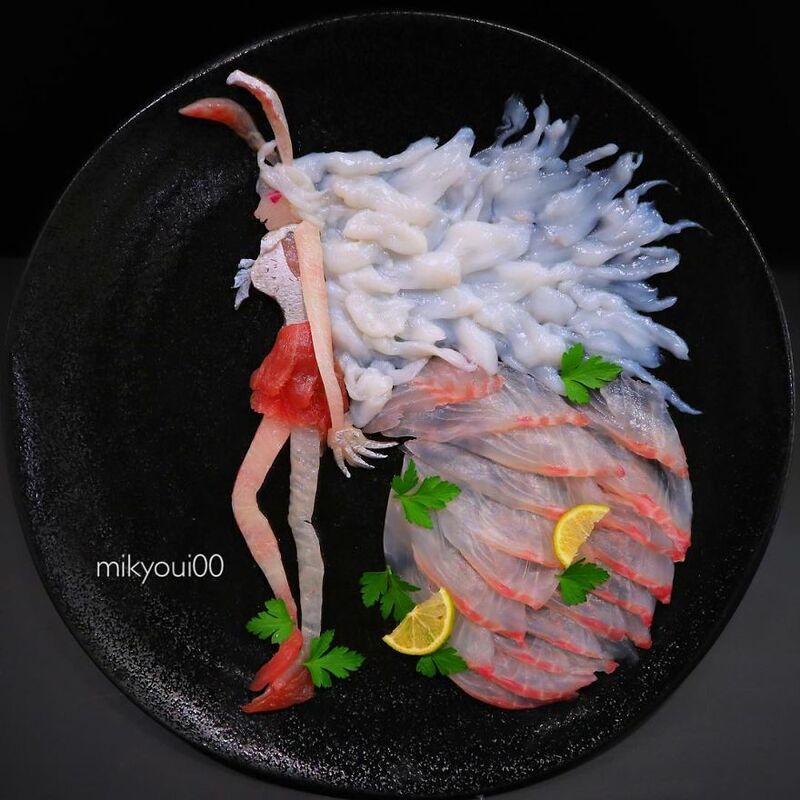 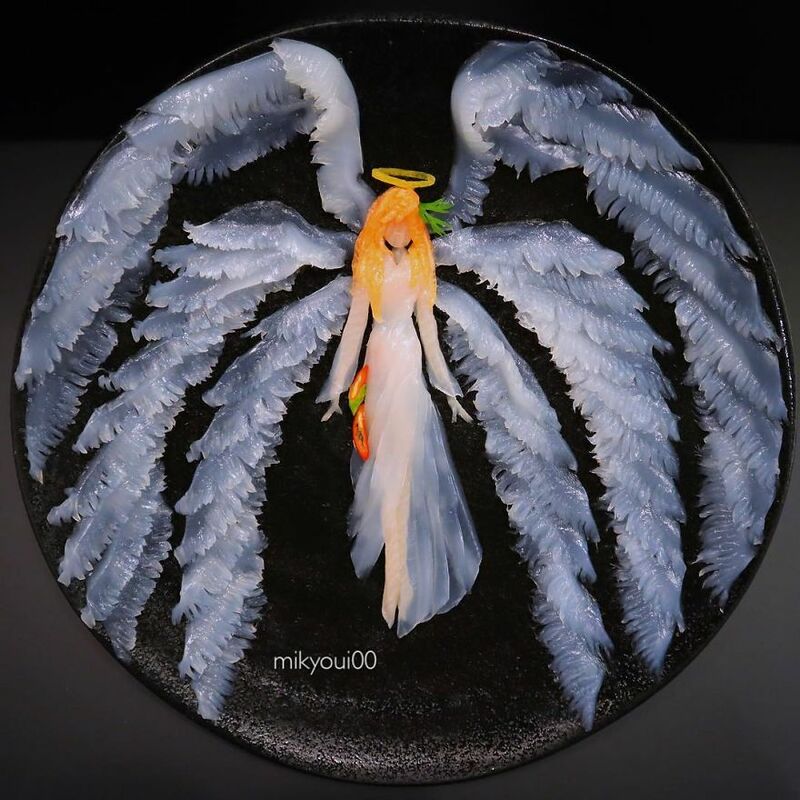 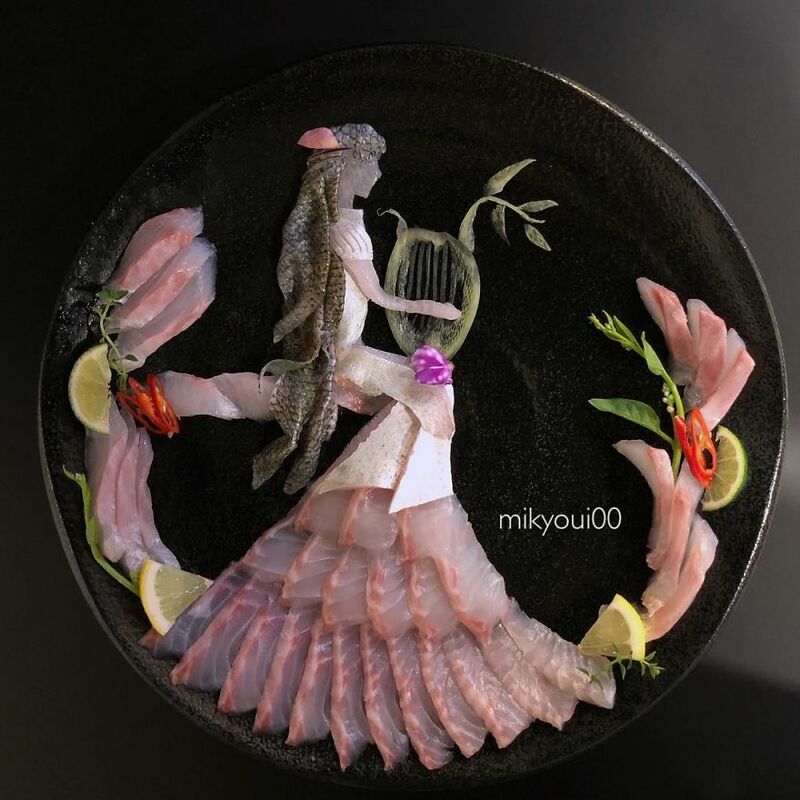 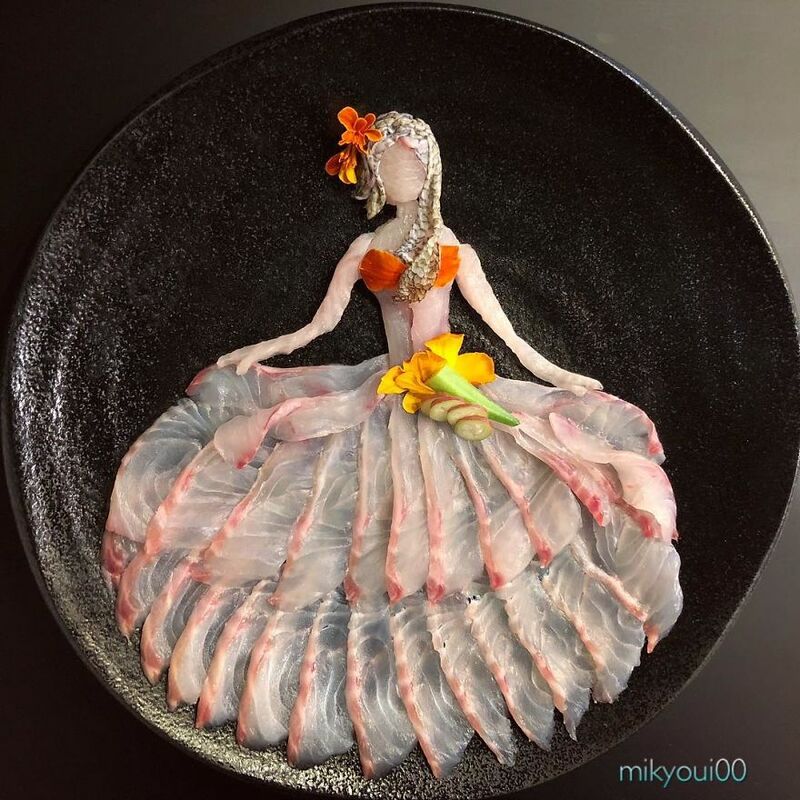 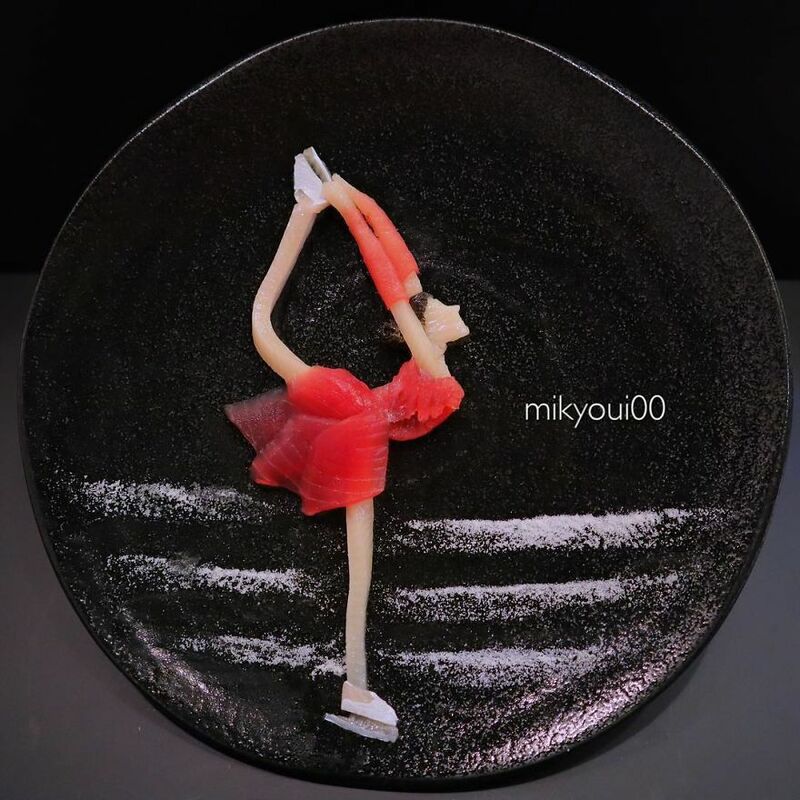 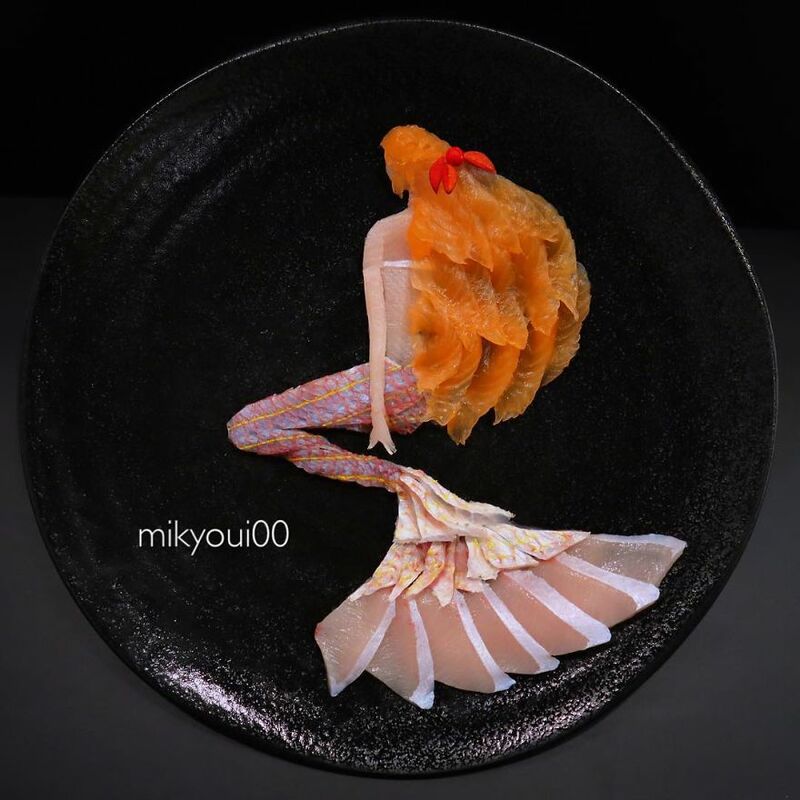 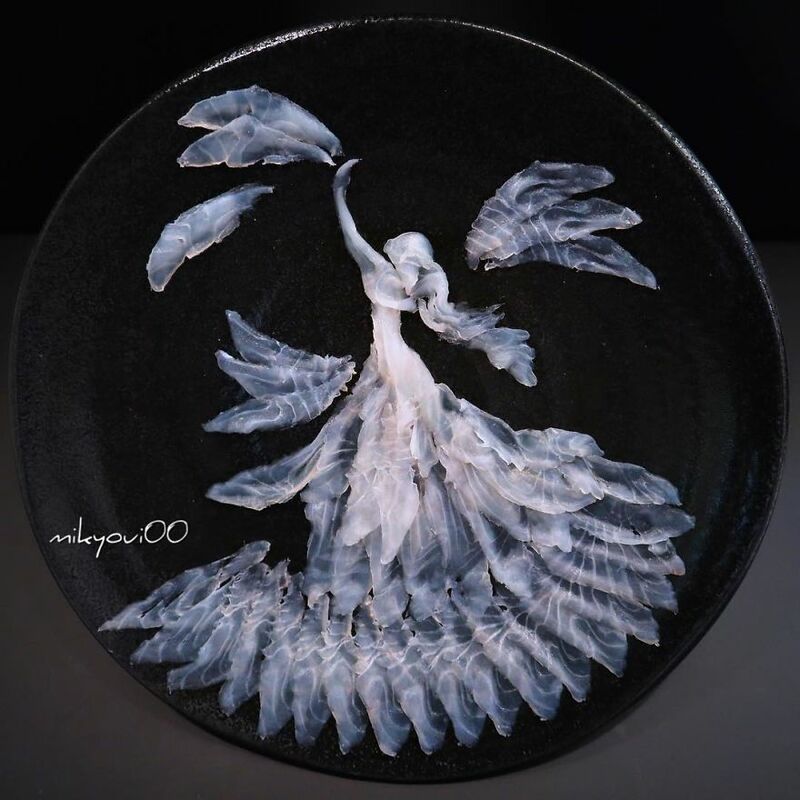 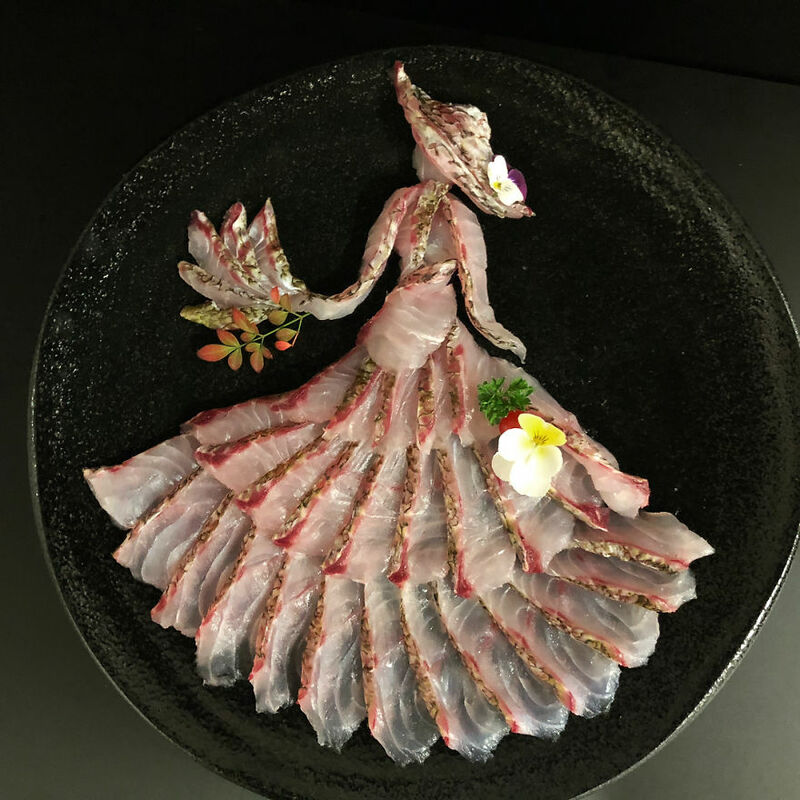 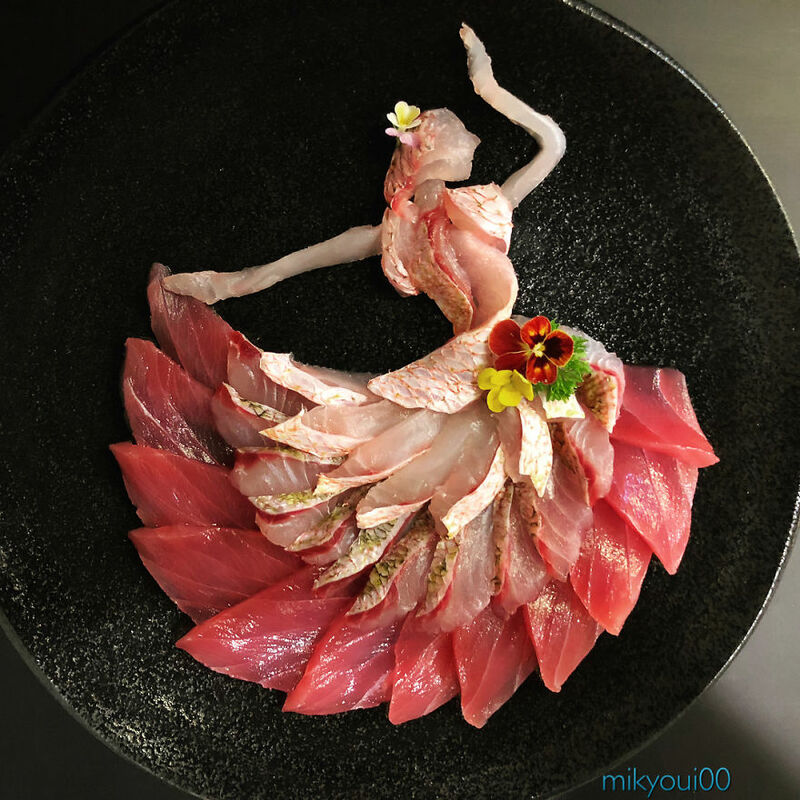 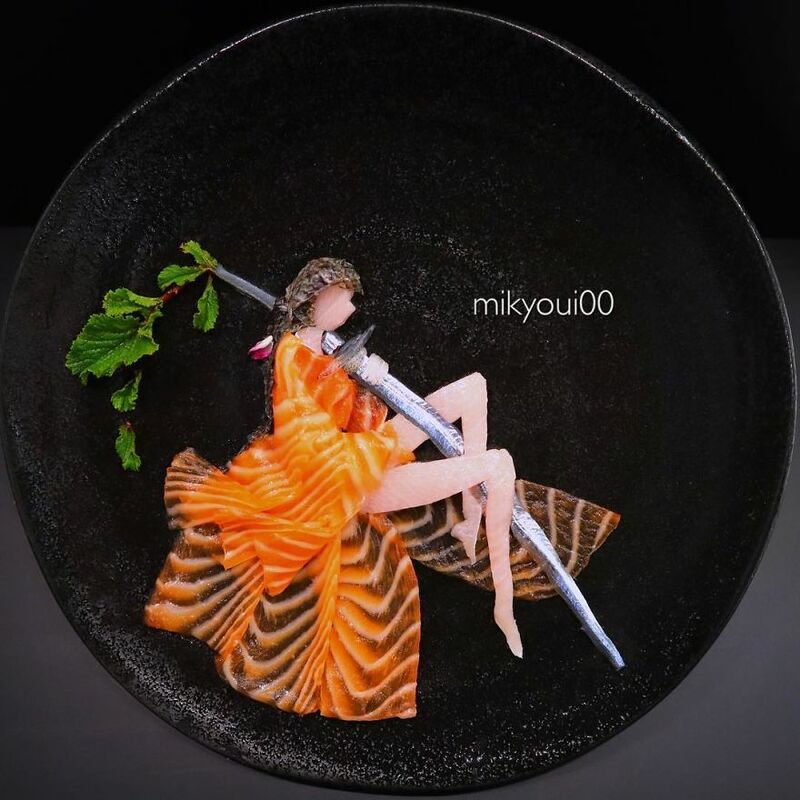 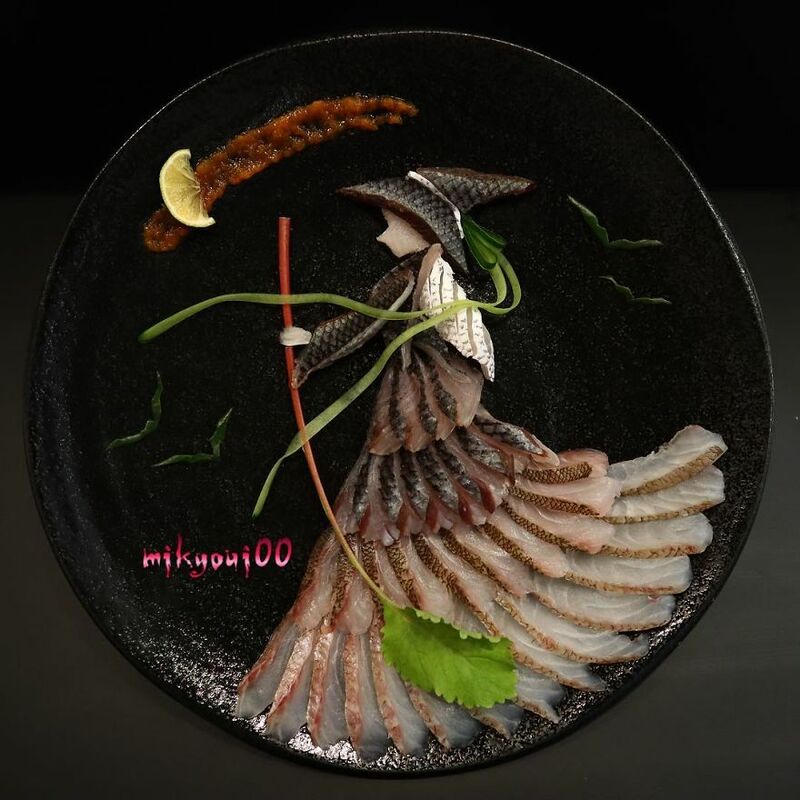 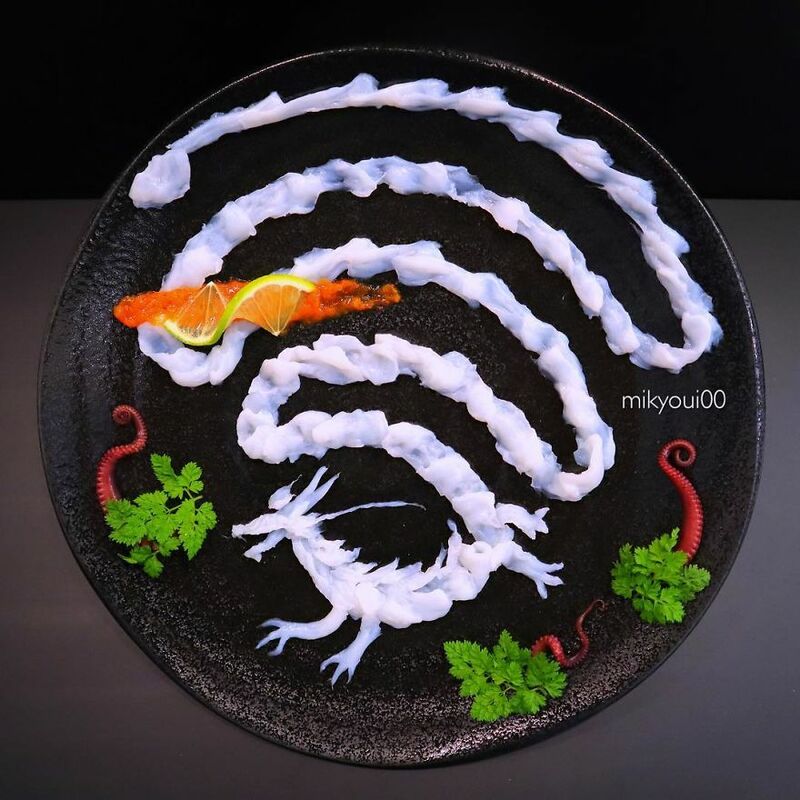 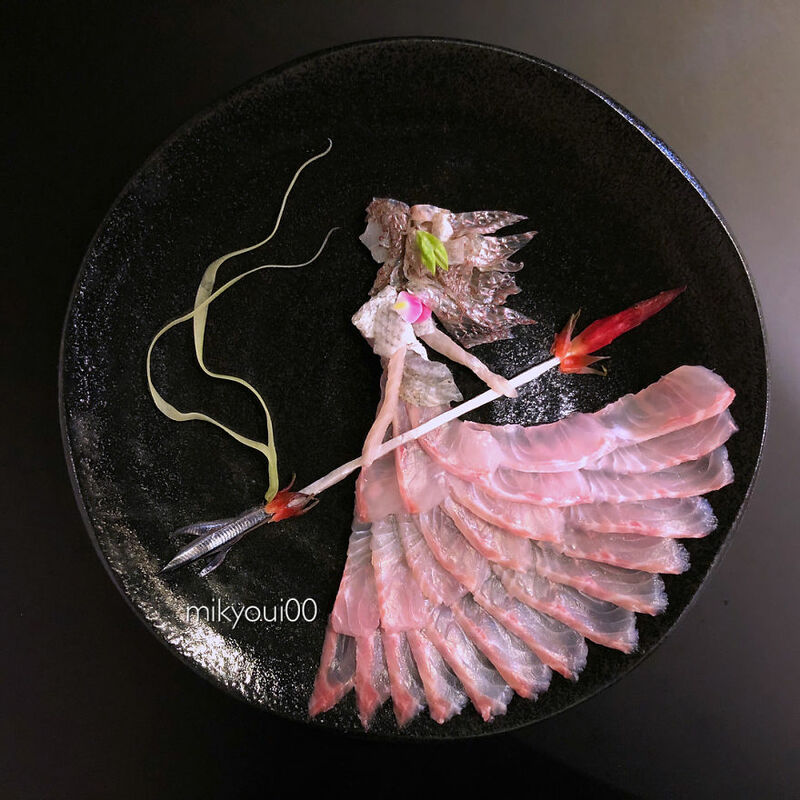 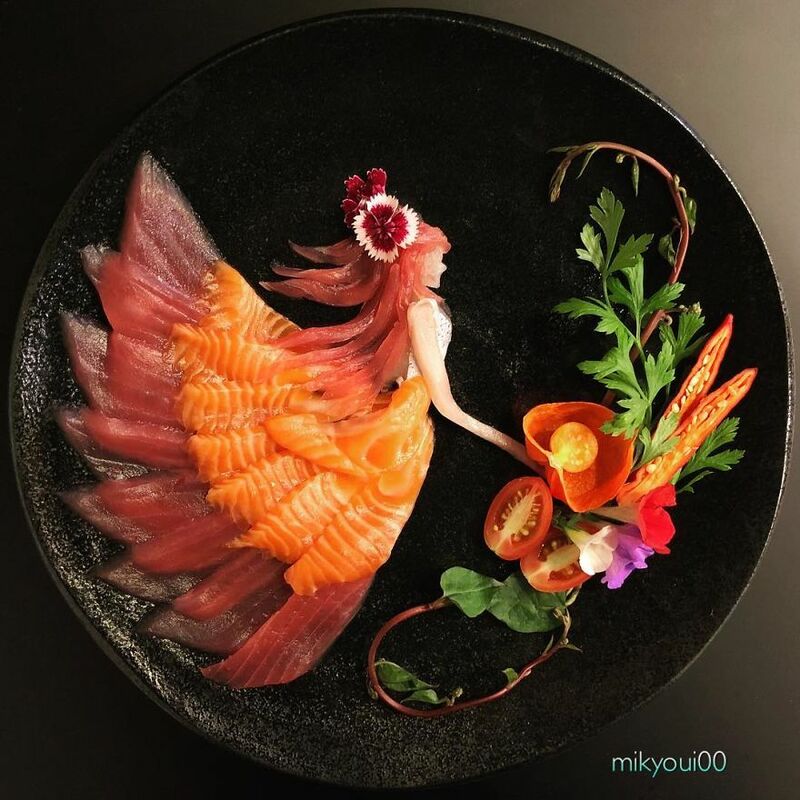 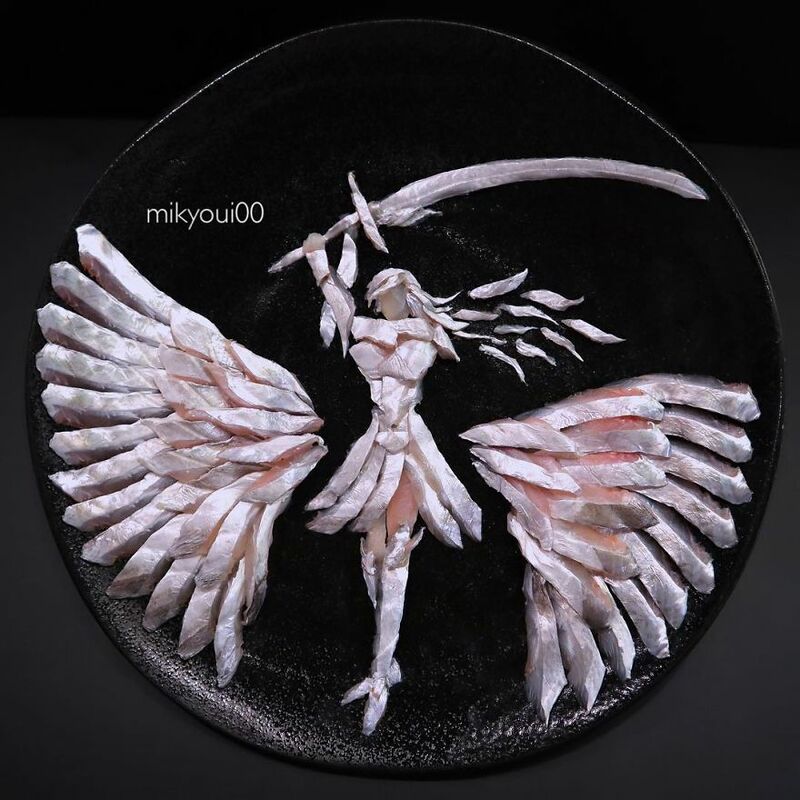 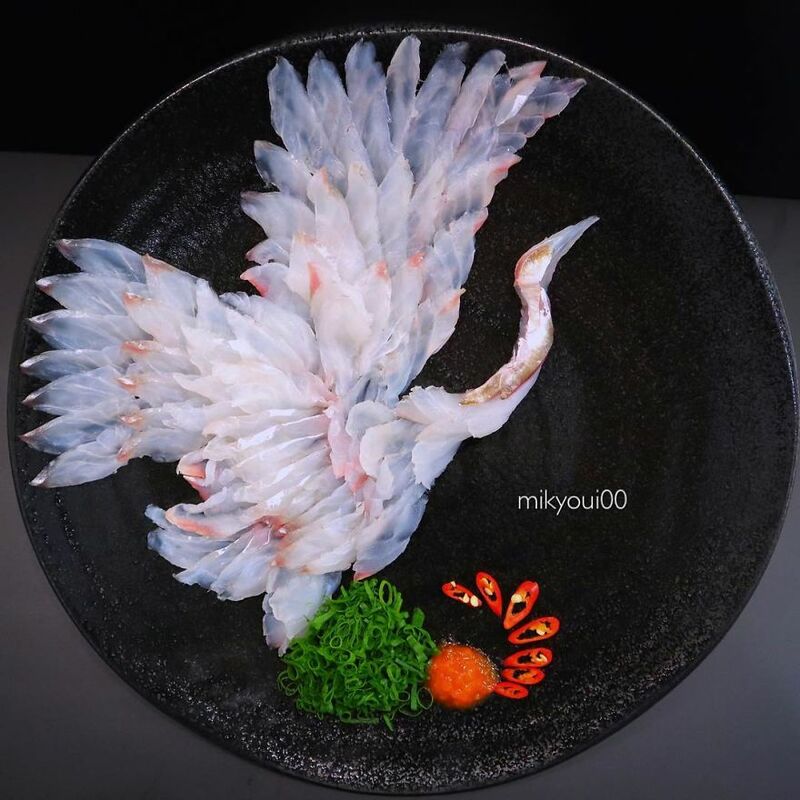 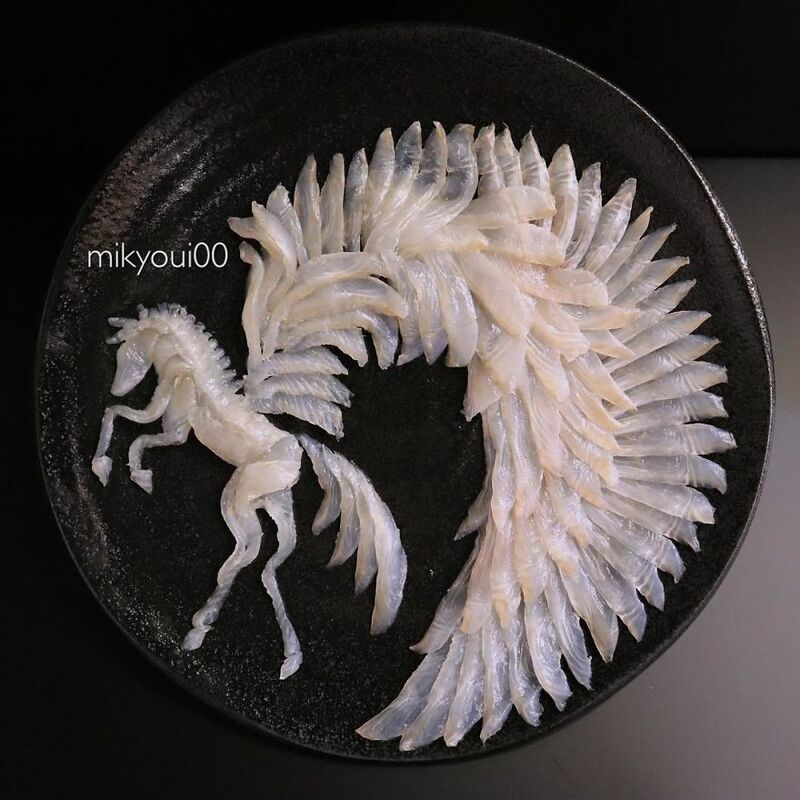 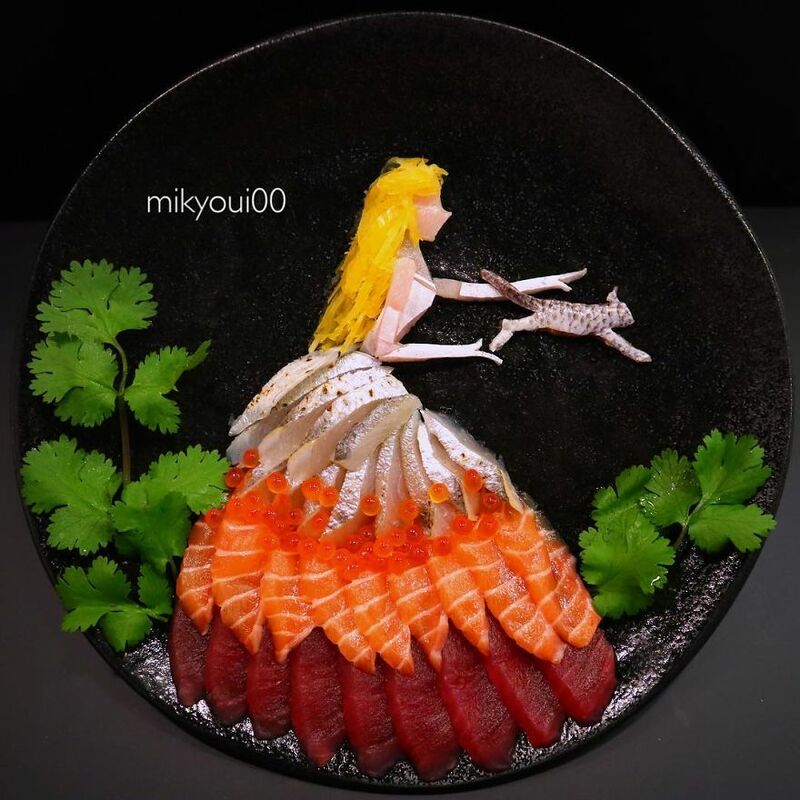 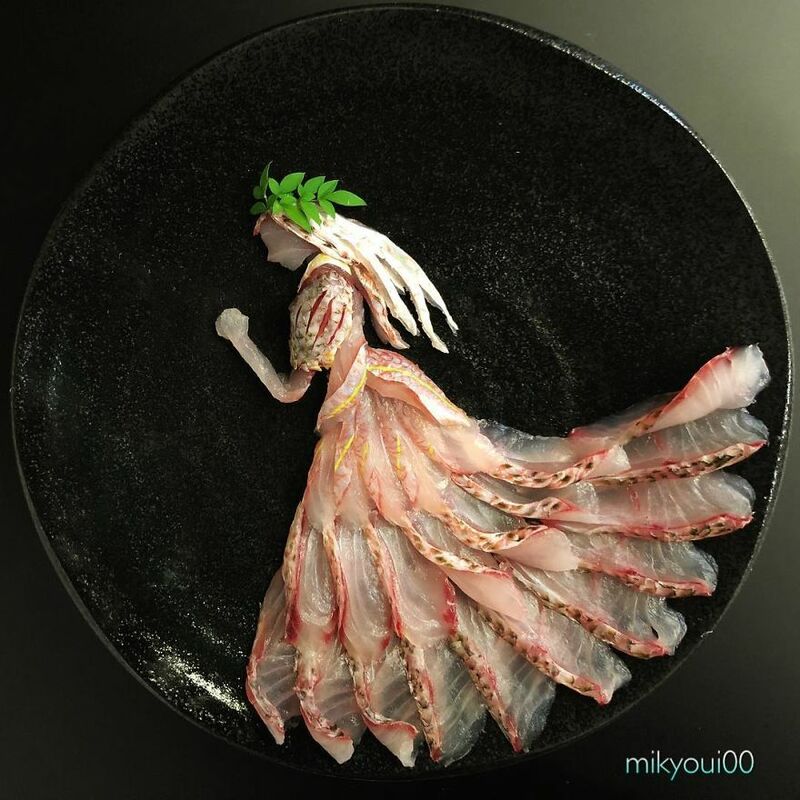 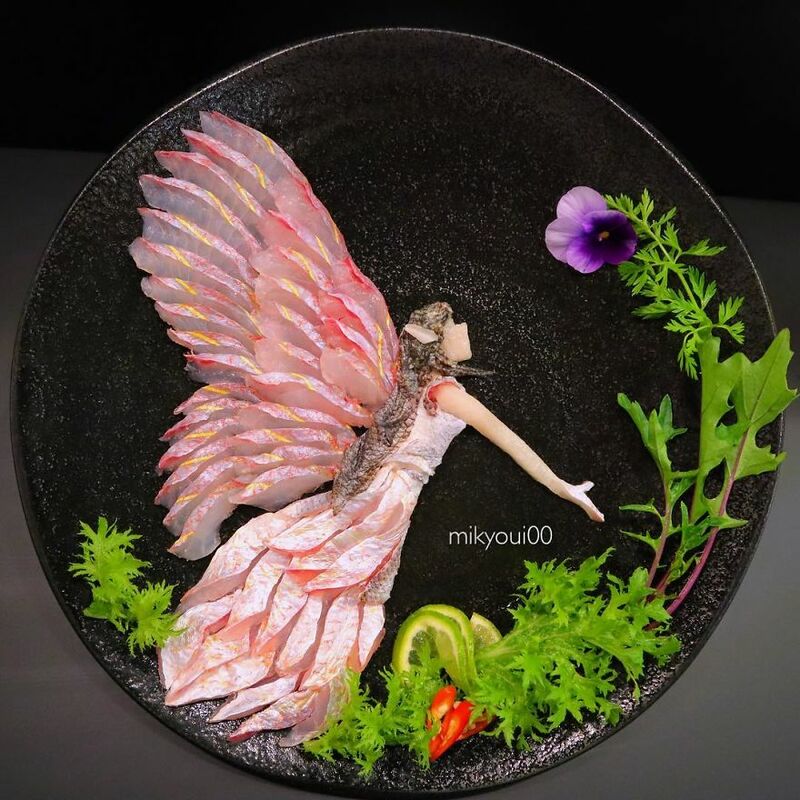 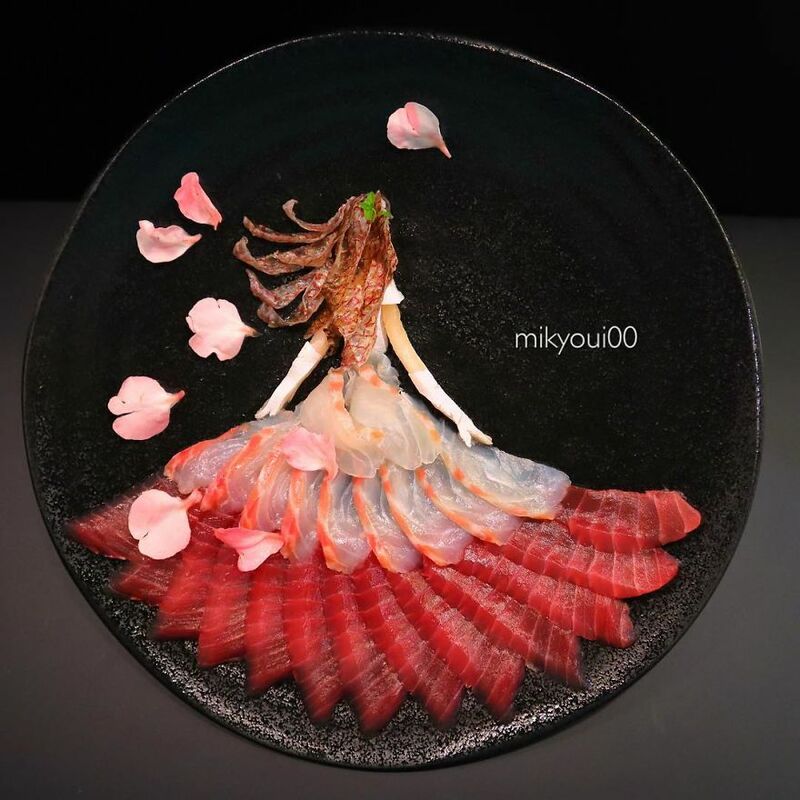 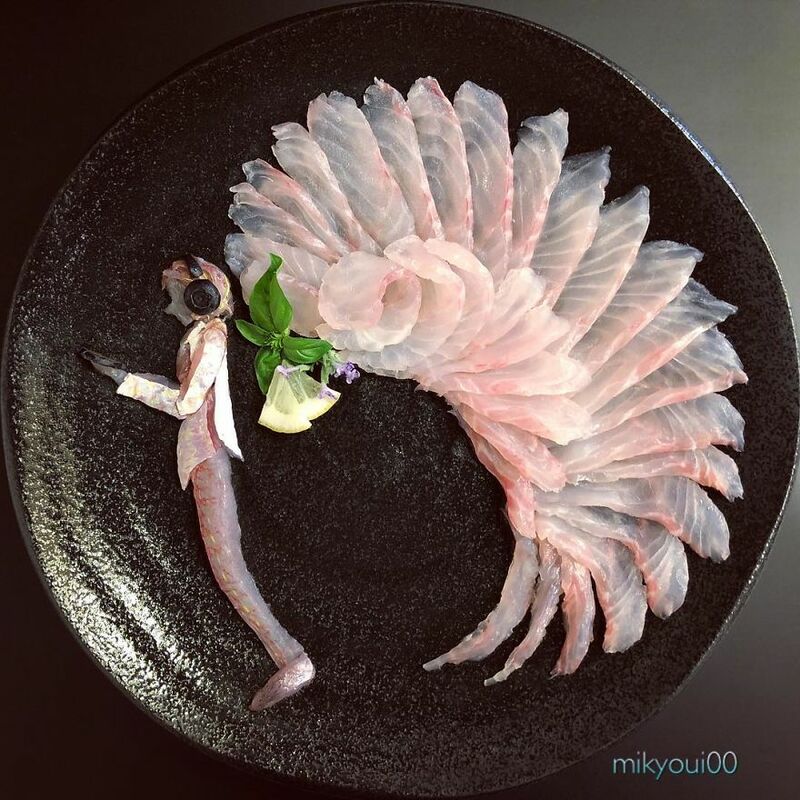 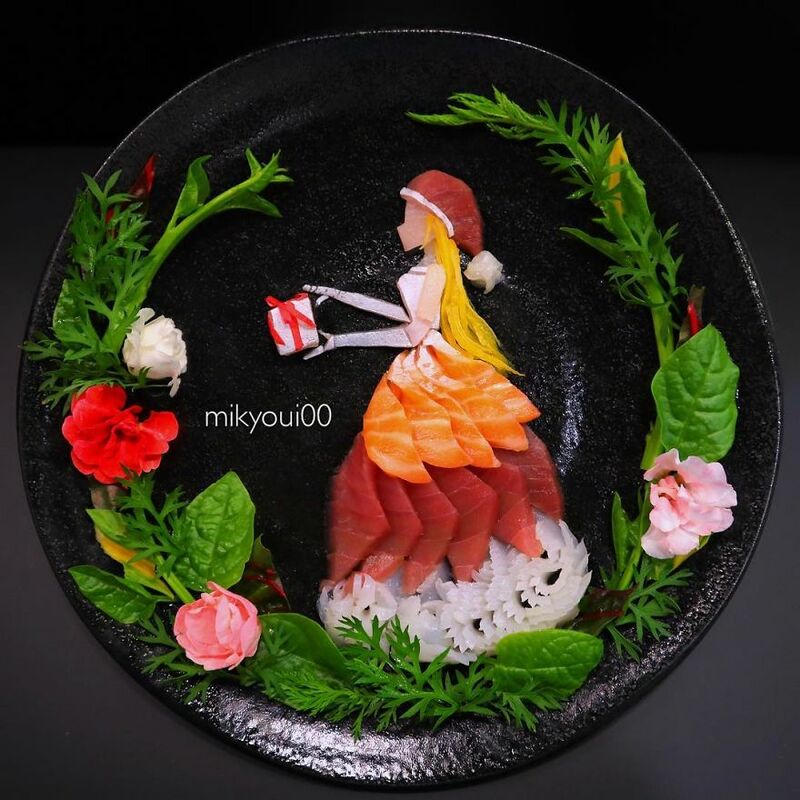 The artist taught his son how to slice and prepare sashimi and the whole learning process became a fun activity where he was able to make amazing creatures and form excellent art pieces. 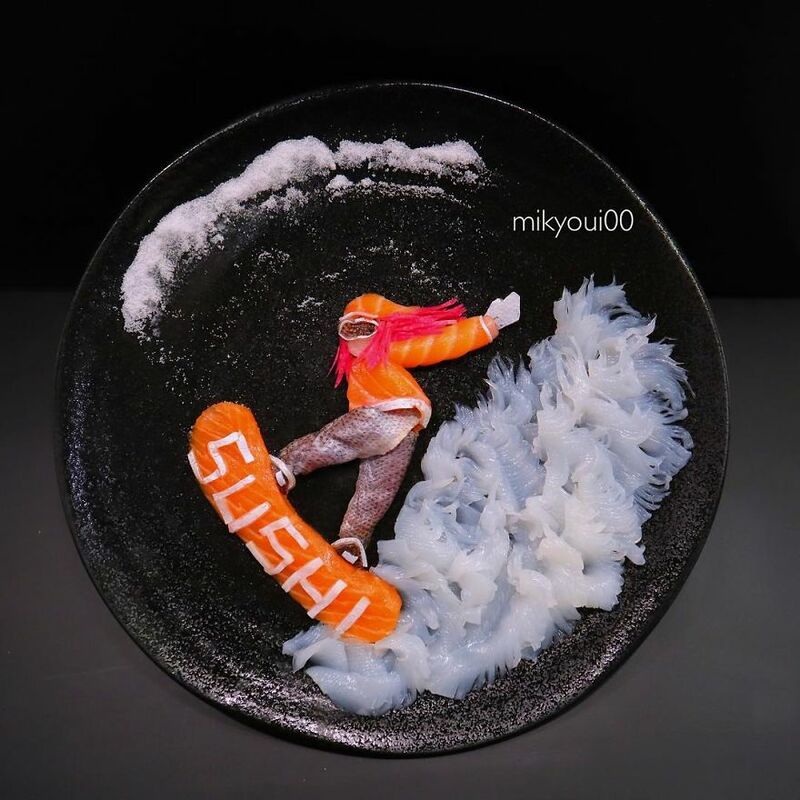 The fun part is that by teaching his child, he ended up really getting into it himself.